My favorite period in history is the first half of the Twentieth Century, especially World War I, since it seems to have been nearly forgotten in the US. 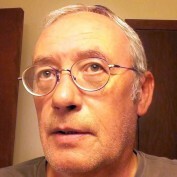 I'm also interested in current events, especially under-reported events. But I'll write about any thing and any time. 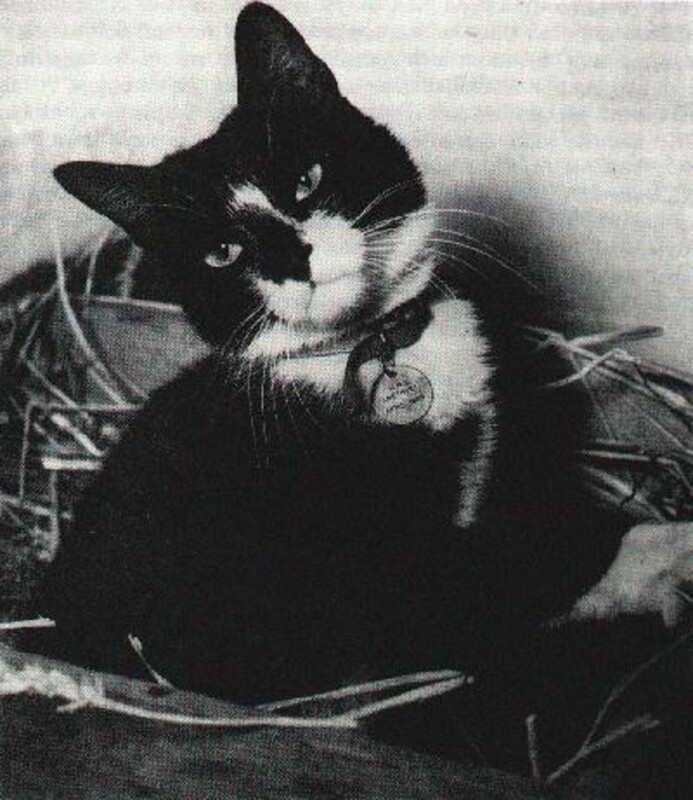 In 1949, Simon the Cat was promoted to Able Seaman Simon and later received the highest decoration in the animal kingdom for bravery on board HMS Amethyst near the end of the Chinese Civil War. When tanks first appeared in 1916, the Germans were terrified. Bullets just bounced off the tanks' armor. 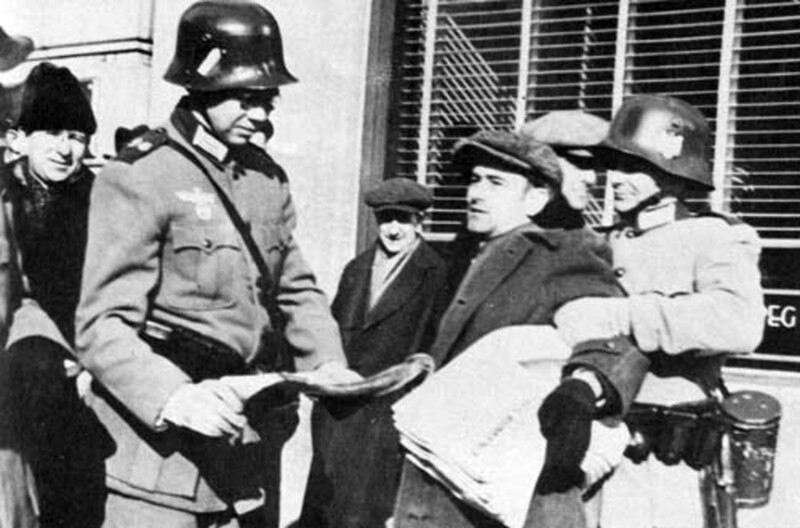 From privates to generals, the Germans desperately sought ways to stop them. The Soviet Union formed three regiments of women pilots. One of them, the 588th Regiment of night bombers, struck such fear into the enemy, the Germans called them Nachthexen, “Night Witches”. 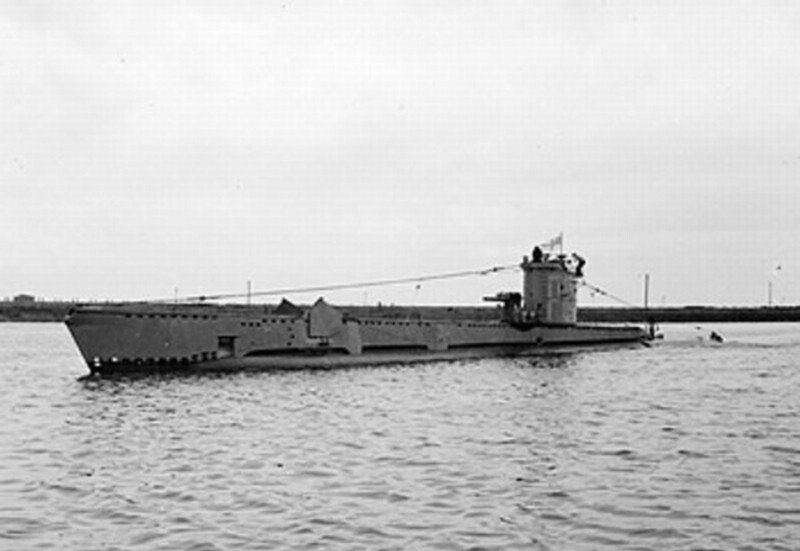 HMS Perseus, a British submarine with 61 souls on board, sank in the Mediterranean in December 1941. One man, John Capes, escaped a watery grave against impossible odds. 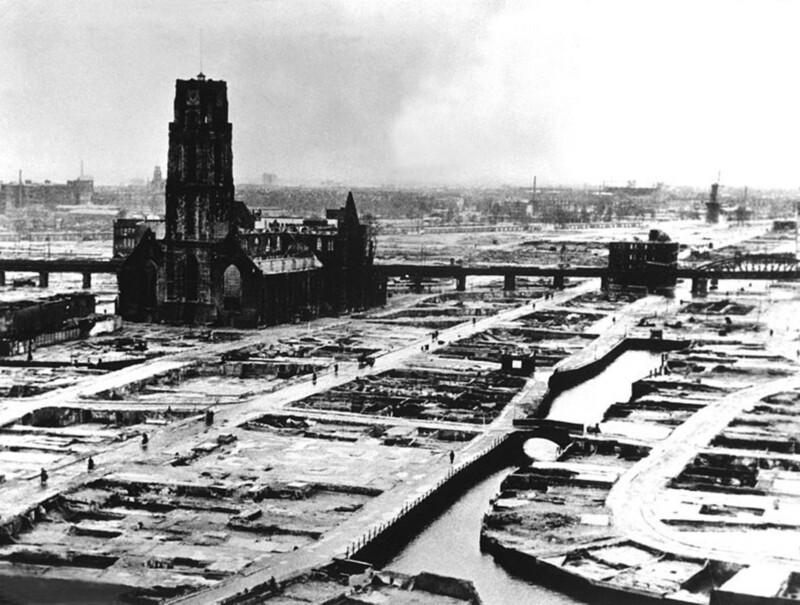 To drive the Germans out of the city of Zwolle in the Netherlands, the Canadian Army was prepared to level it. 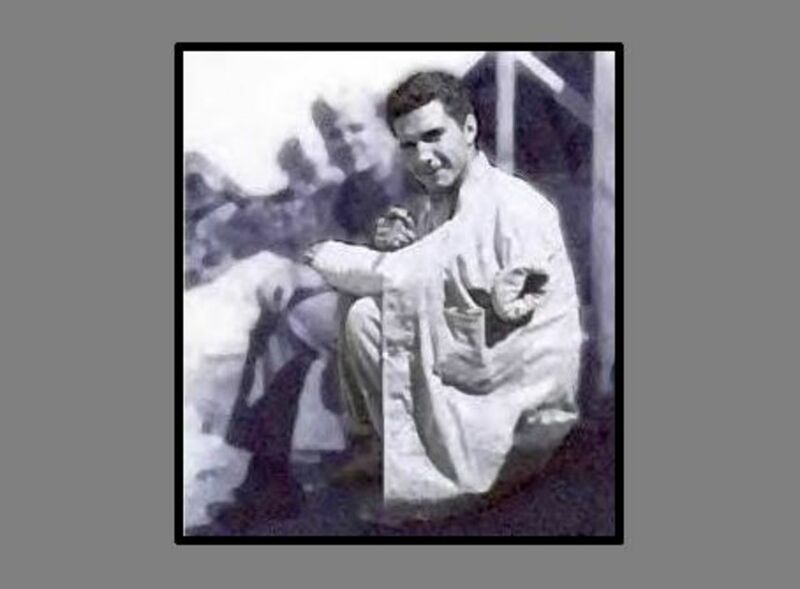 French-Canadian Private Leo Major had other plans. 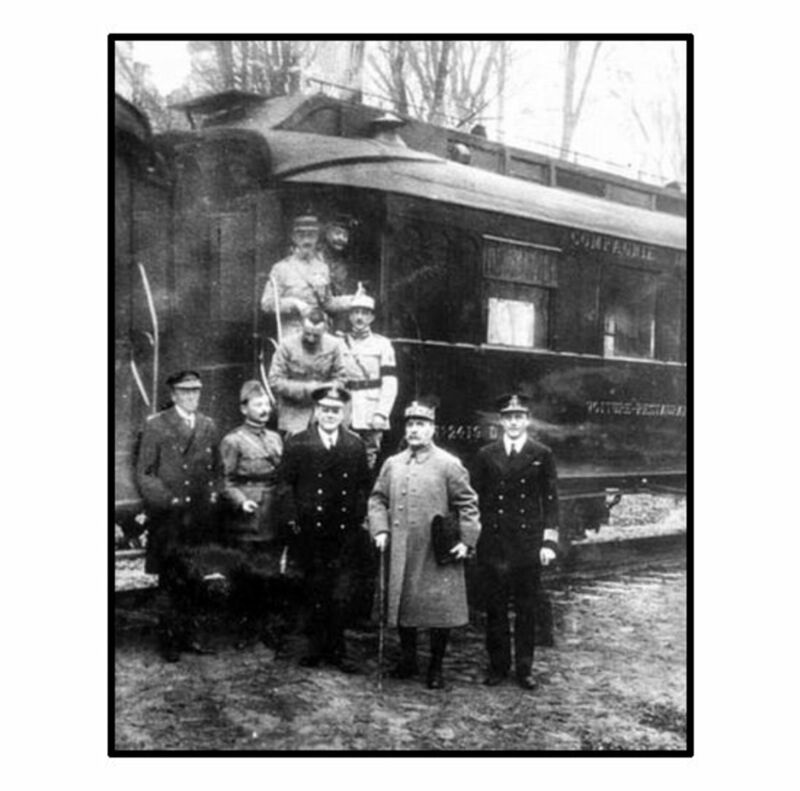 The Armistice on November 11, 1918 did not end the hostilities of World War I until 11:00 AM. 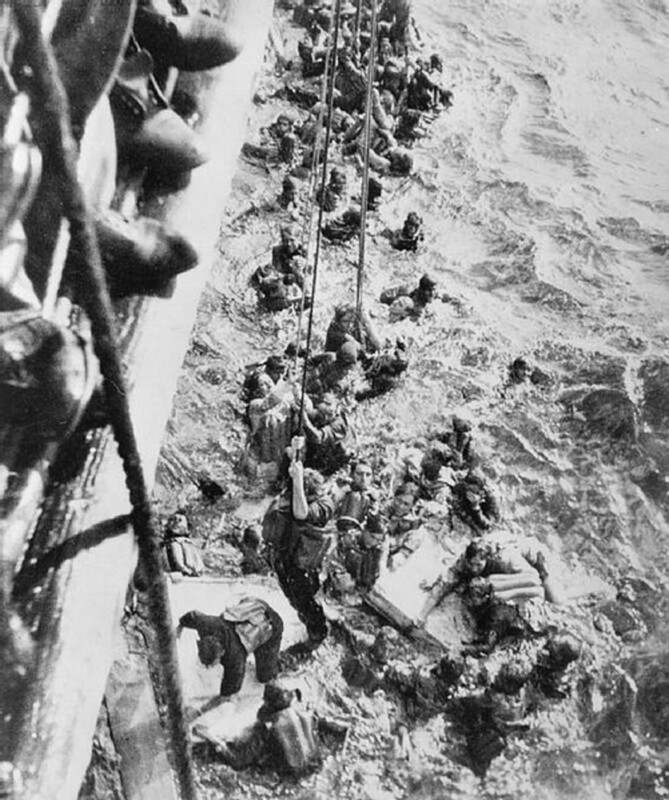 That morning almost 11,000 men were killed, wounded or went missing. At the start of World War Two, 209 Polish defenders in an ammunition depot held off thousands of Germans, a battleship and dive-bombers. Even when hope of relief evaporated, they fought on. 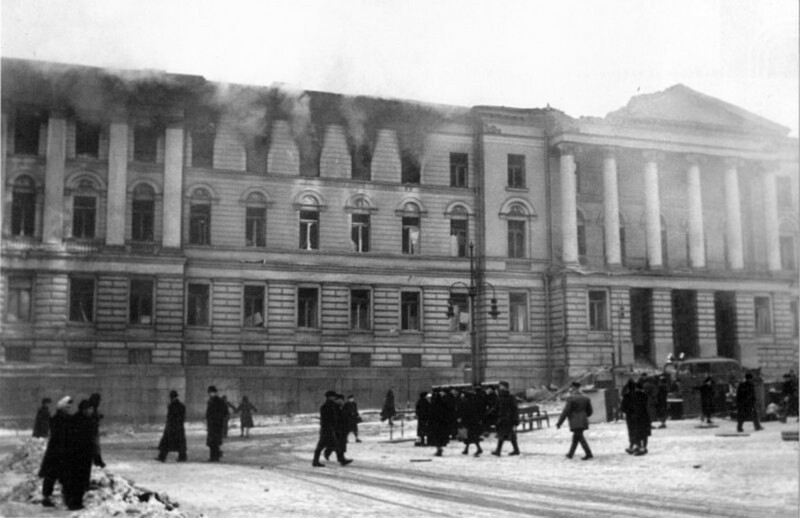 In 1944, the Soviets launched massive bombing raids against Finland's capital city, sometimes referred to as the “Great Raids Against Helsinki”. 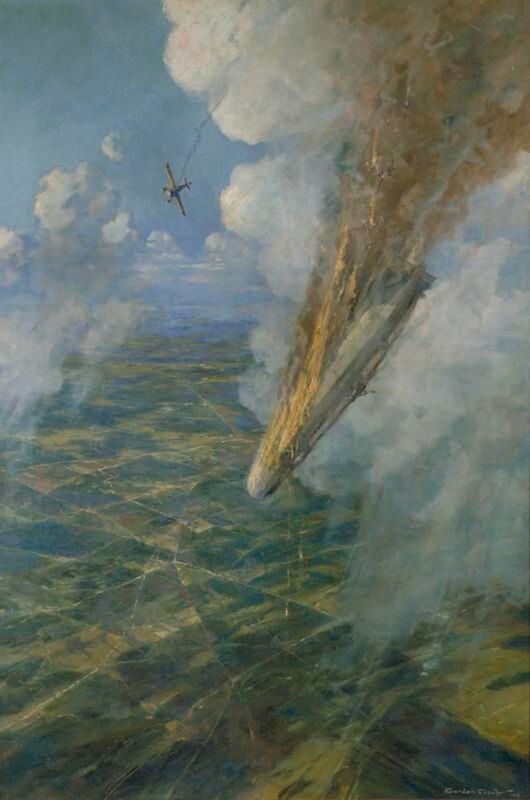 Then the small Finnish bomber force struck back. 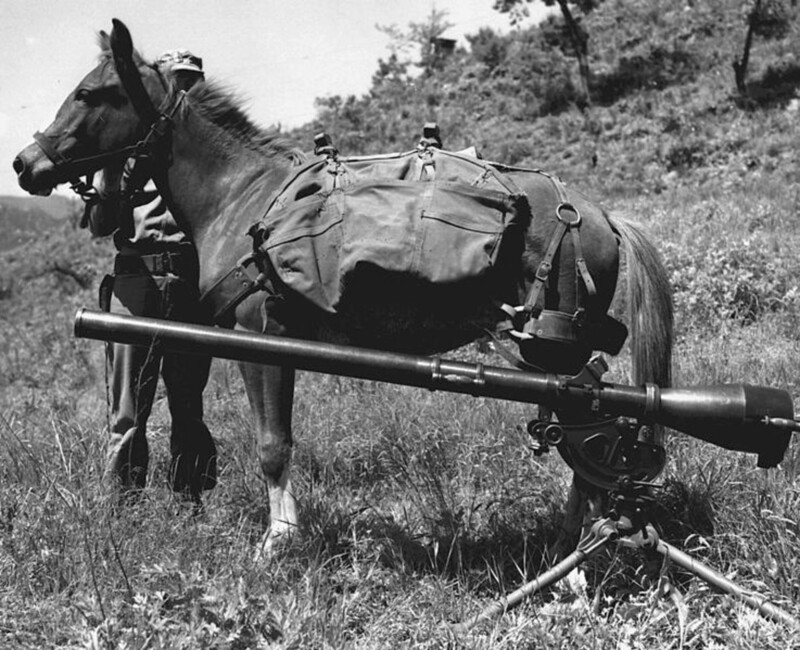 During the Korean War, a little mare was “drafted” into the US Marine Corps and emerged a beloved, decorated war hero who is still being honored to this day. 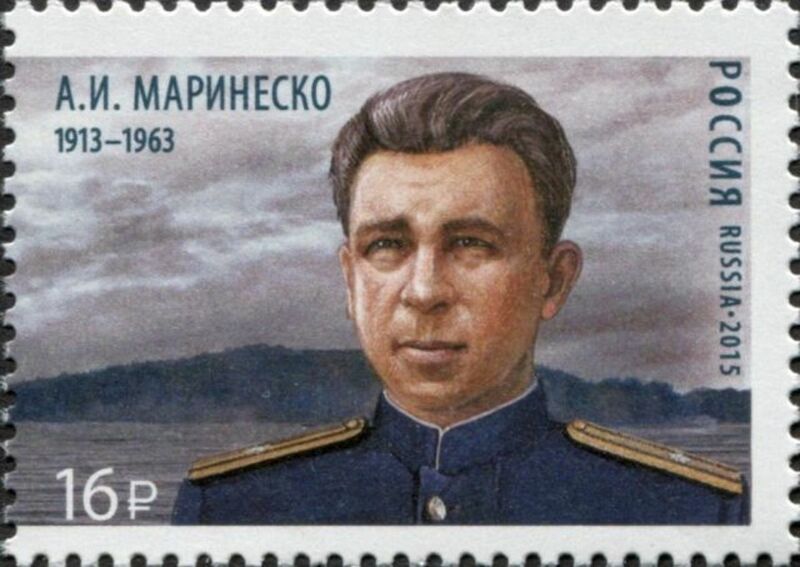 Soviet Captain Alexander Marinesko, commander of the submarine S-13 during World War II, holds the questionable distinction of causing the most shipping deaths in history. 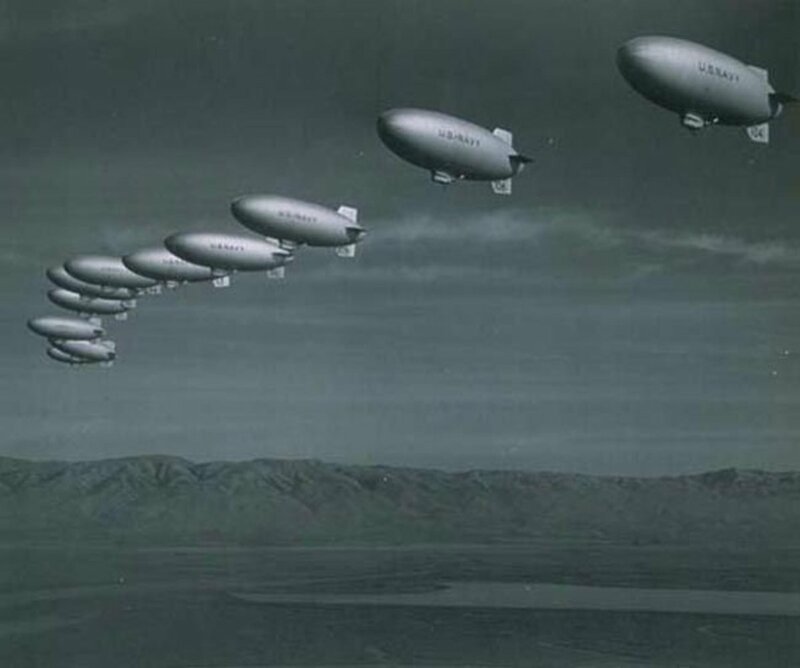 The United States was the only country that had a fleet of lighter-than-air airships during World War 2. These airships proved themselves extremely effective at protecting ocean convoys. 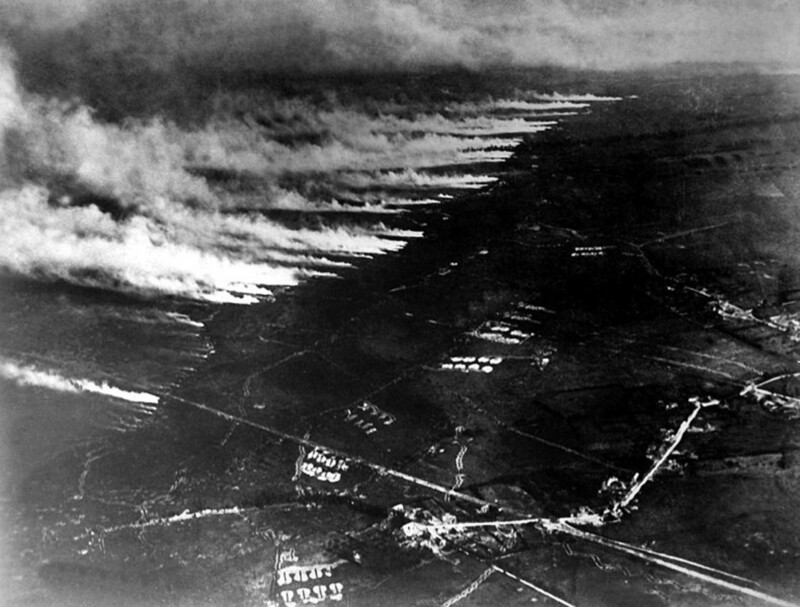 Here are five obscure facts pertaining to World War 1, including aircraft losses, chemical warfare, tanks, Sherlock Holmes (sort of), and the first and last British soldiers killed in action. 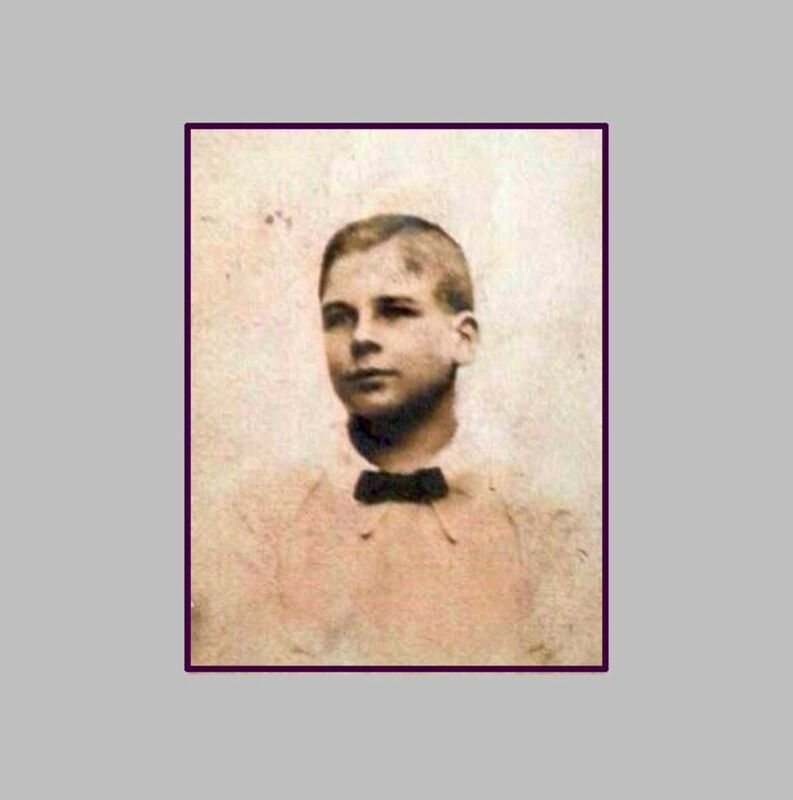 Private William Hunter, who enlisted in the British Army in 1914 when he was 16, after repeated absences from his regiment, was shot at dawn for desertion on Feb 21, 1916. 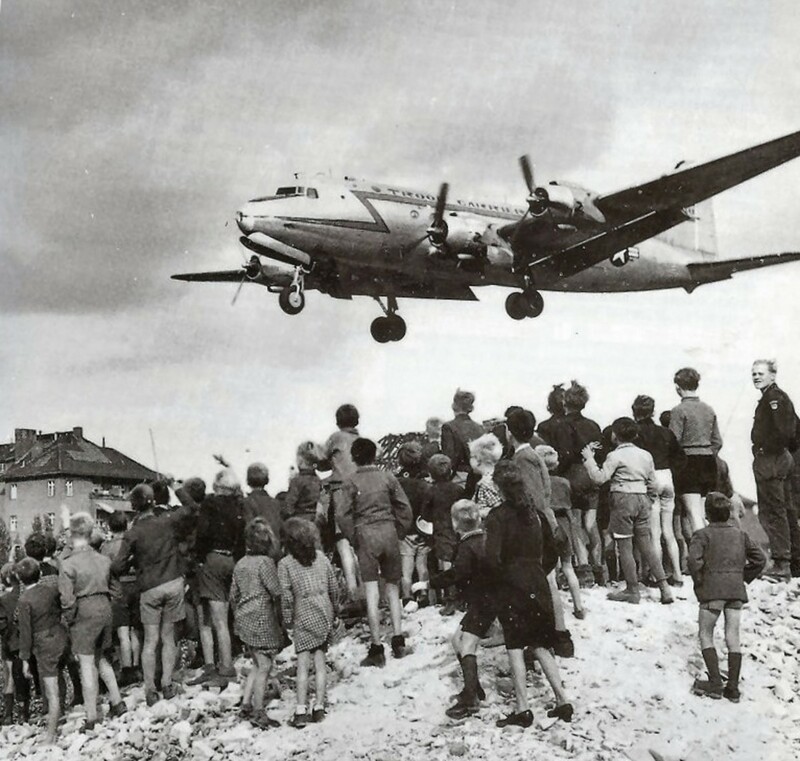 An American pilot, moved by the quiet gratitude of a group of children during the Berlin Airlift, decided to share his candy with them. 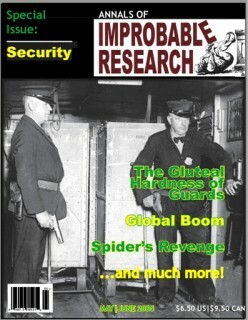 He would become known world-wide as the Candy Bomber. 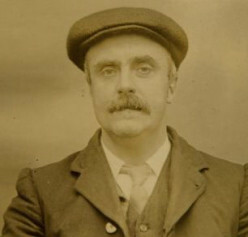 In the era of battleships and steamships, the sailing ship Sea Eagle, commanded by Count Luckner (nicknamed the “Sea Devil”), raided Allied shipping in two oceans. 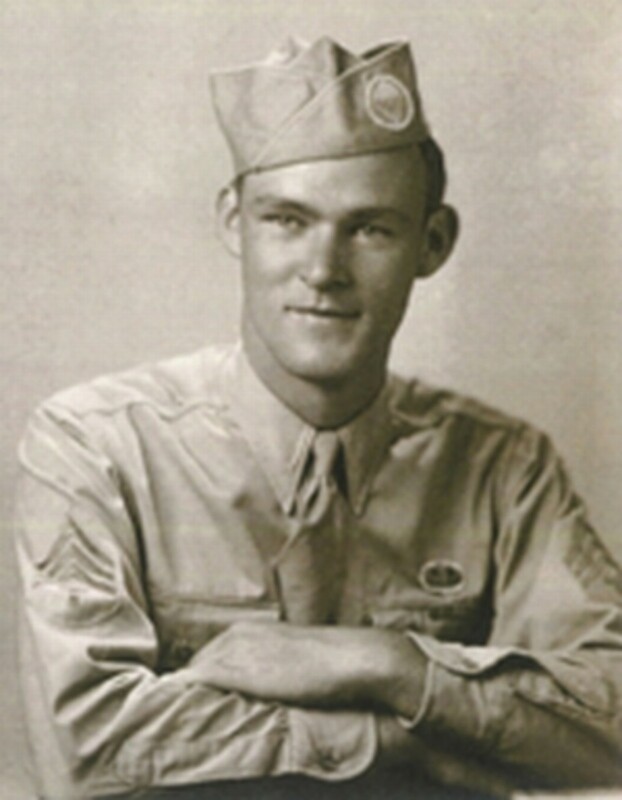 Sergeant Joe Beyrle parachuted into Normandy, France on D-Day and ended up fighting the Germans with a Soviet tank battalion as it approached Berlin. 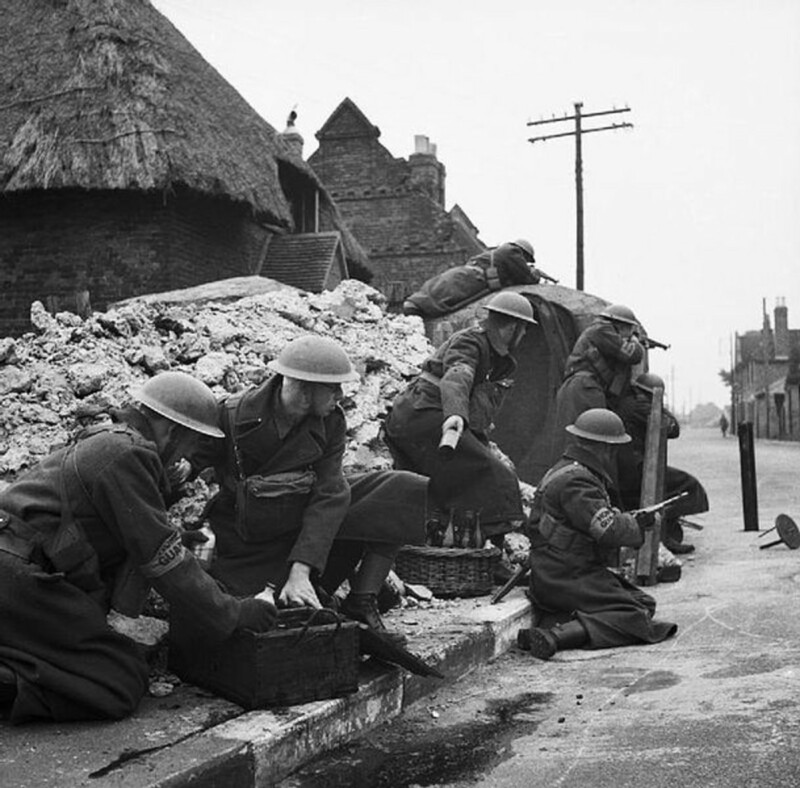 During World War 2, Britain feared Germany would use chemical weapons. It was decided that using anthrax against huge swaths of the German countryside was feasible, economical and practical. 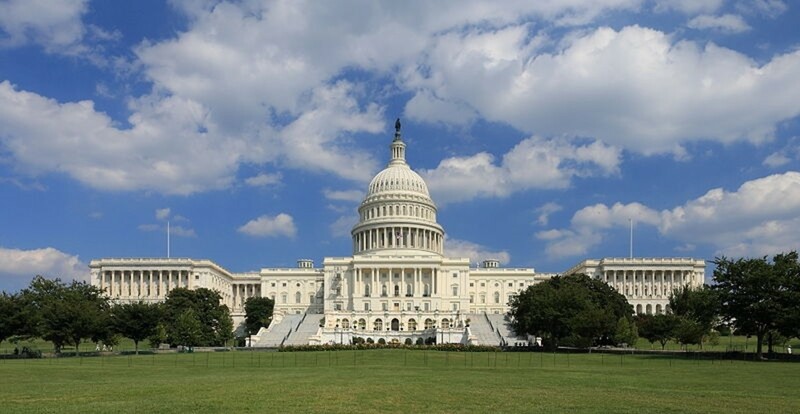 World War 1 History: July 1915—Immigrant Bombs US Capitol, Shoots J. P. Morgan Jr.
Over a period of two days, Erich Muenter AKA Frank Holt, a German immigrant, set off a bomb in the US Capitol building and shot J. P. Morgan Jr twice. And he still wasn't finished. 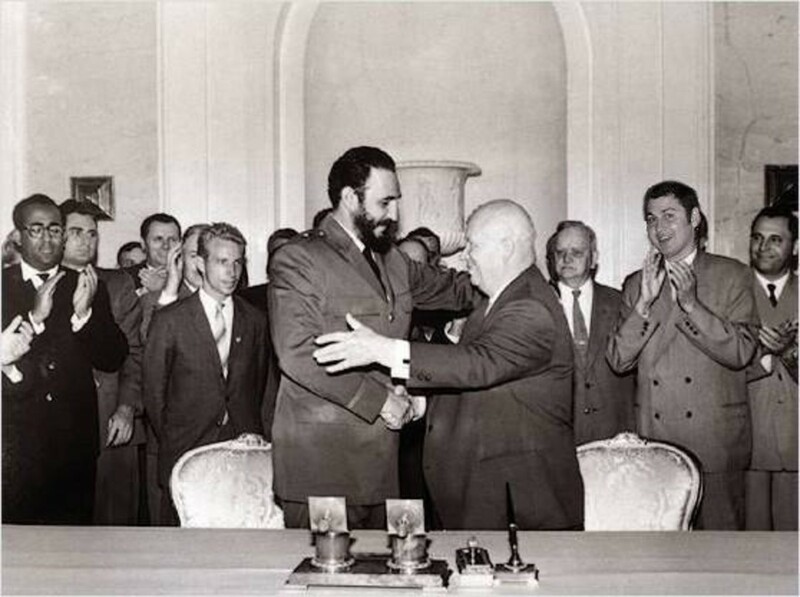 The US Joint Chiefs of Staff contemplated committing attacks against American installations and cities that would be blamed on Fidel Castro to justify a full military invasion of Communist Cuba. In 2014, what song was chosen more than any other for funerals in the United Kingdom? The Lord is My Shepherd was second, but it was a Monty Python tune from 1979 that ruled them all. Shotguns were used in World War 1, but they were rare and usually single- or double-barrel break-action shotguns. The Americans brought a whole new meaning to military shotguns. A French general, enraged that his decimated troops refused to continue bayonet charges against enemy barbed wire and machine guns, ordered artillery strikes on his own trenches. 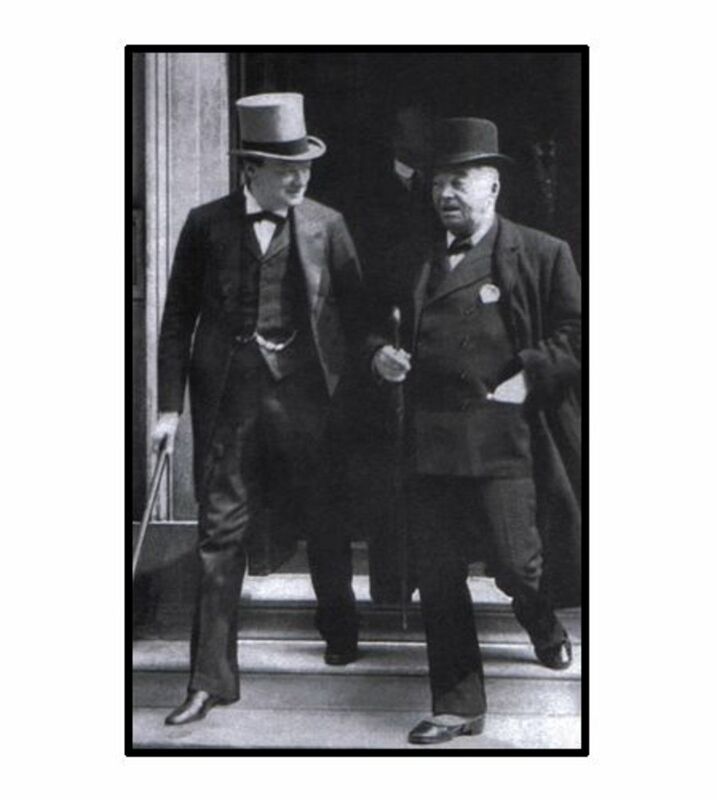 Winston Churchill, at the age of 36, wrote a three-page memorandum in 1911 accurately describing the German invasion that would occur three years later when World War 1 erupted. 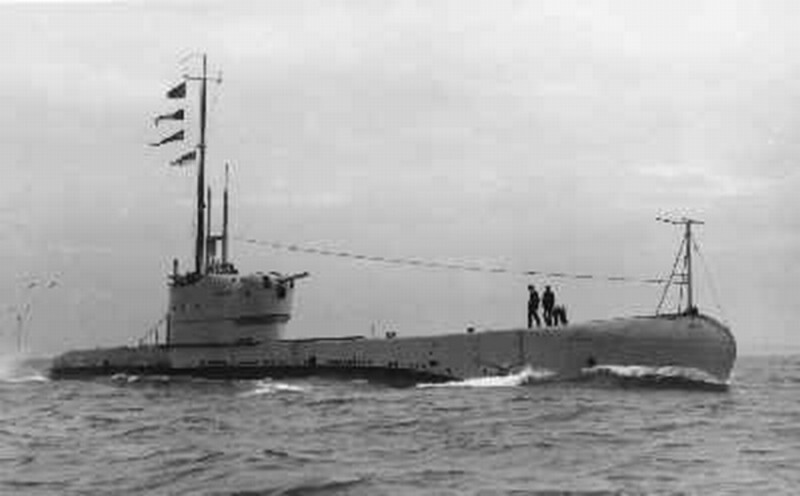 Overshadowed by the larger and more desperate U-boat war around the British Isles, the successes of the British submarine flotilla in the Baltic is largely forgotten. 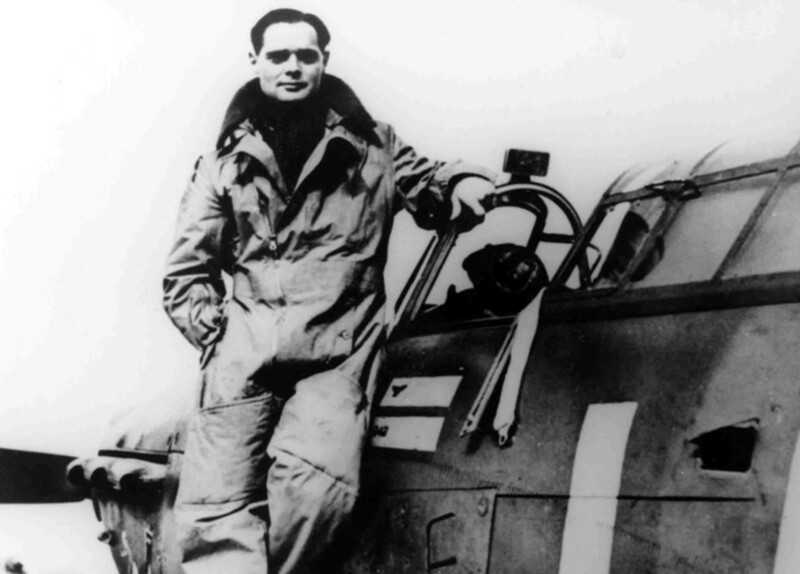 When a British Spitfire spiraled into the ground in France, German troops captured Douglas Bader, who, to their amazement, was a fighter pilot despite the fact that he had no legs. 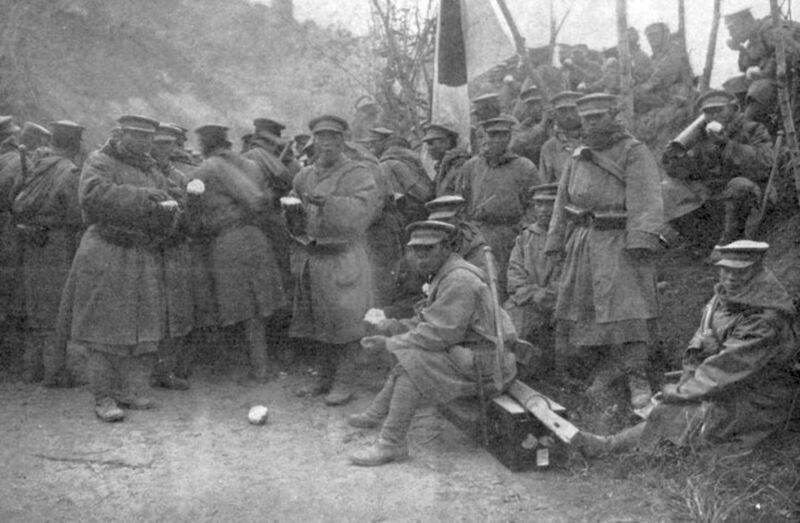 During the Great War, the Japanese were allied with the Triple Entente. Though their casualties were miniscule, their navy patrolled half the world and even fought in the Mediterranean Sea. 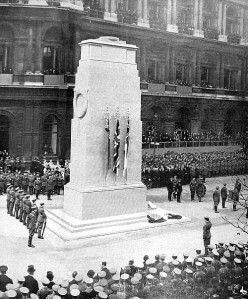 Almost six million men from the British Isles answered the call to arms during the Great War. Only 52 villages received all their sons back from the war. 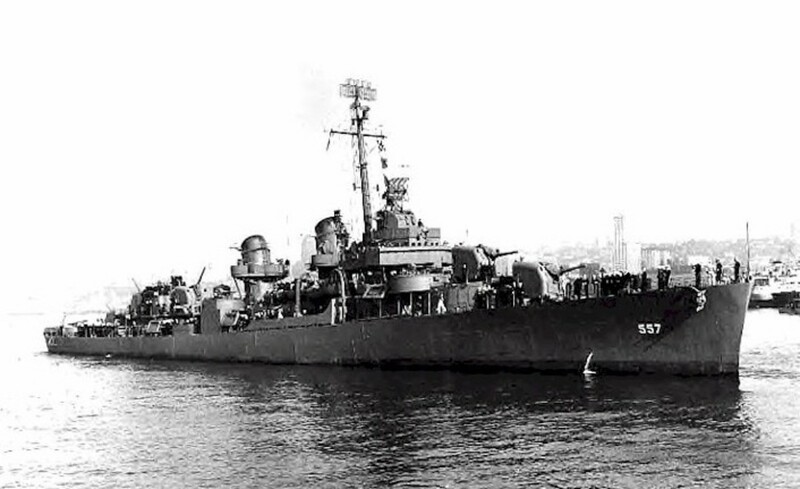 U.S. destroyer Johnston will go down in the annals of history for taking on destroyers, cruisers and battleships during WW2. 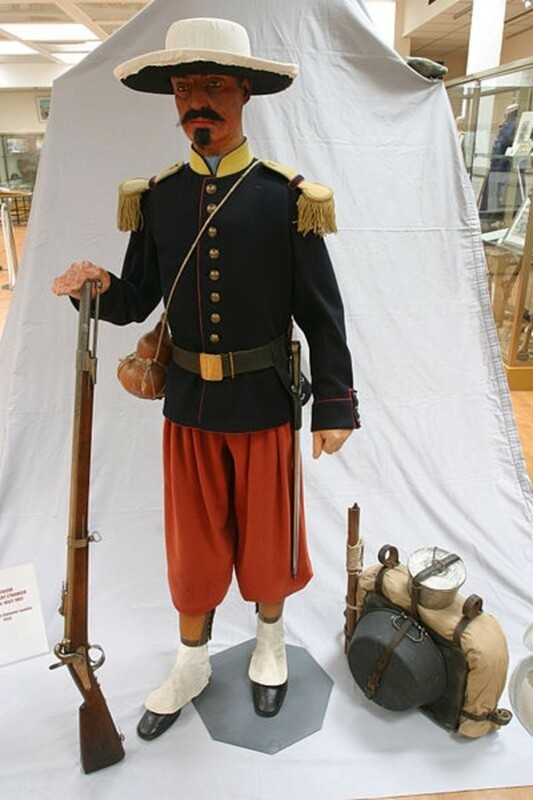 When the French Foreign Legion was created it was filled with criminals, malcontents and trouble-makers, but, during the Battle of Camaron in Mexico in 1863, they became a legend. 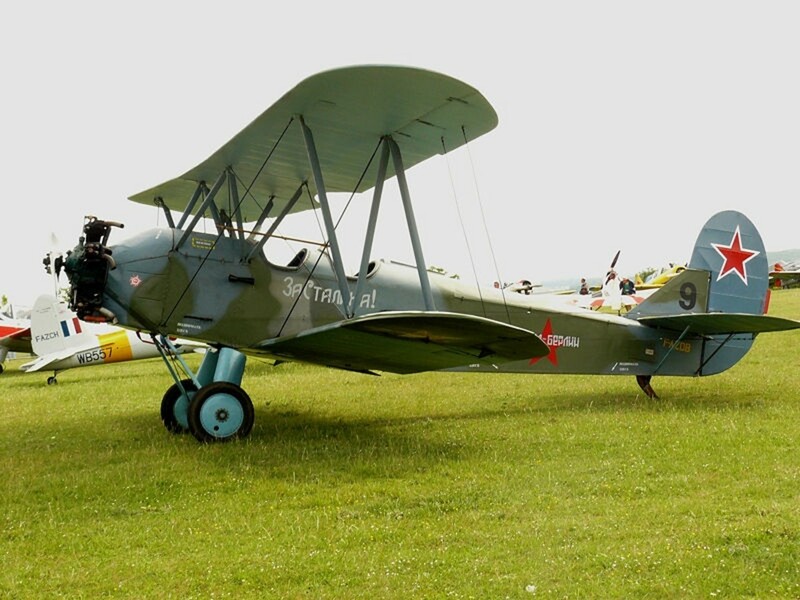 In 1914, military aviation was in its infancy. 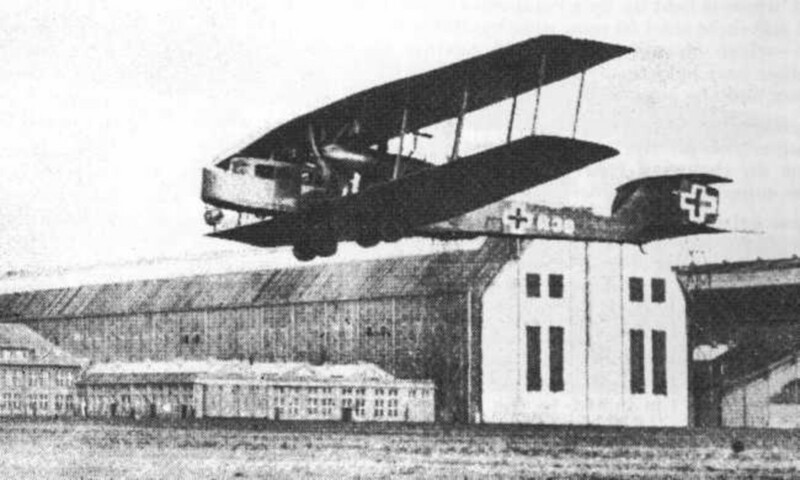 By the end of World War One, just four years later, Germany had giant bombers larger than those they would use in World War Two. 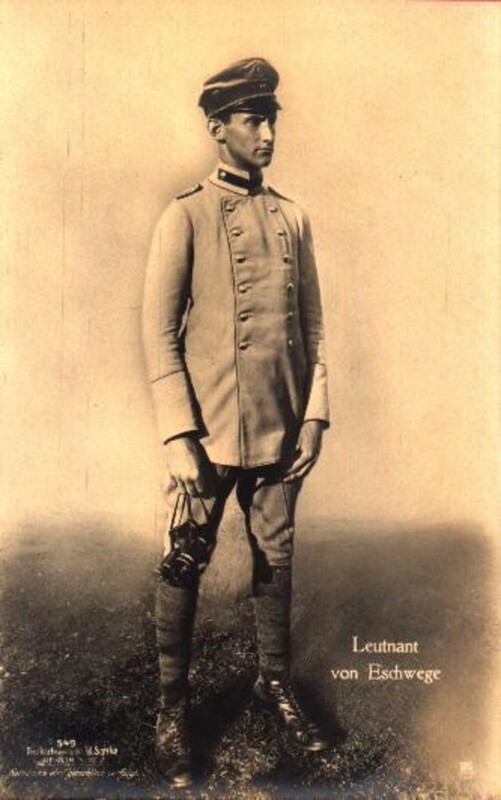 The first Zeppelin ever lost to the enemy in air-to-air combat was the German LZ 37. 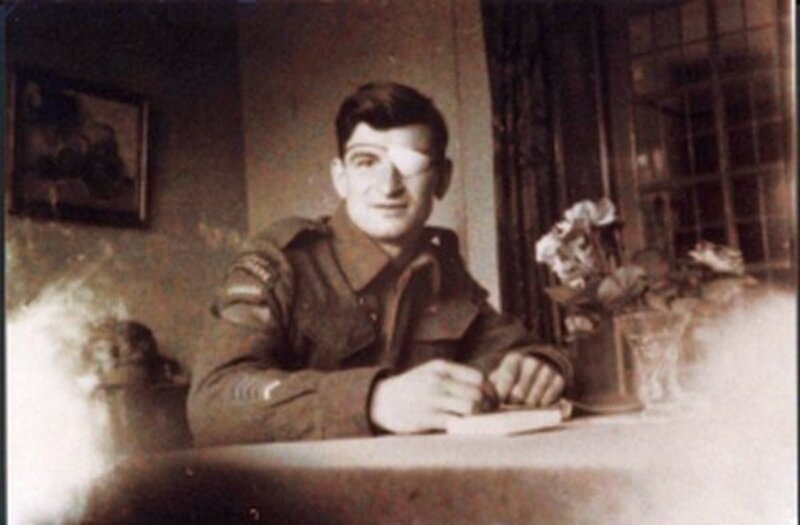 British Sub-Lieutenant Rex Warneford brought it down, but he didn't shoot it down. 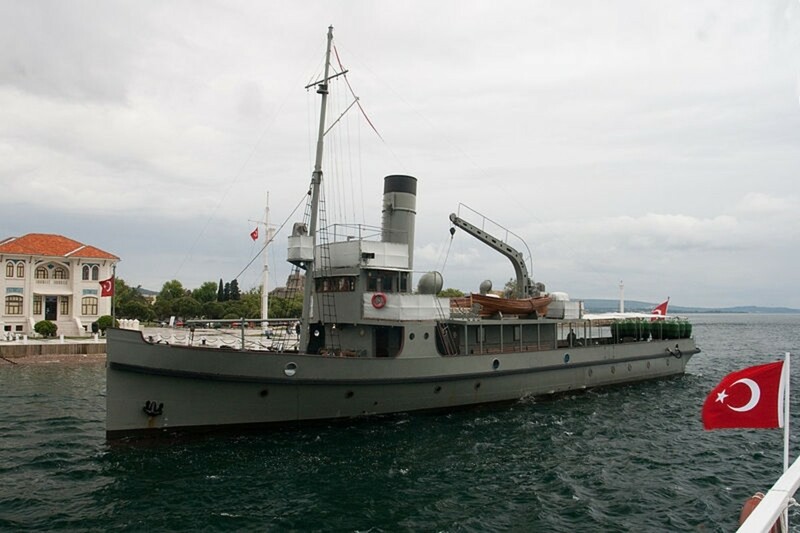 Just when it looked like the Allies might win the Battle of Gallipoli, the actions of a single Turkish minelayer, called Nusret, halted the armada. 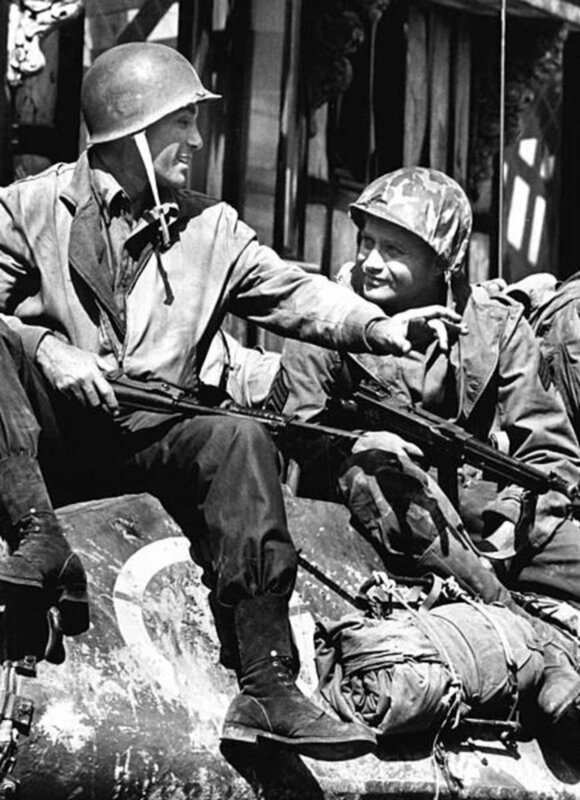 During the Battle of the Bulge, Americans fought against a massive German onslaught. On Christmas Eve 1944, three American and four German soldiers honored a truce forced upon them by a German mother. In 1943, a transport was struck by a German guided missile. Of the estimated 1,180 dead, some 1,050 were U.S. soldiers. To this day the incident is still officially unacknowledged. 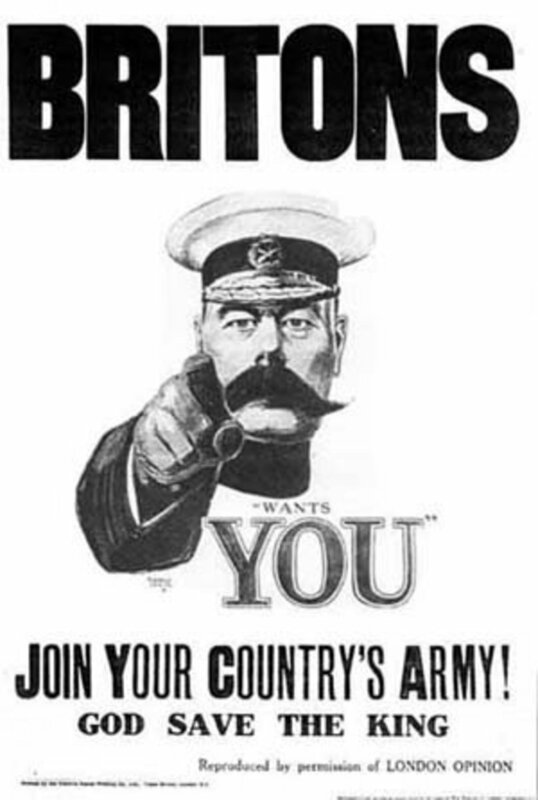 Britain's “New Army” was an army of volunteers organized by Secretary of State for War Lord Kitchener. 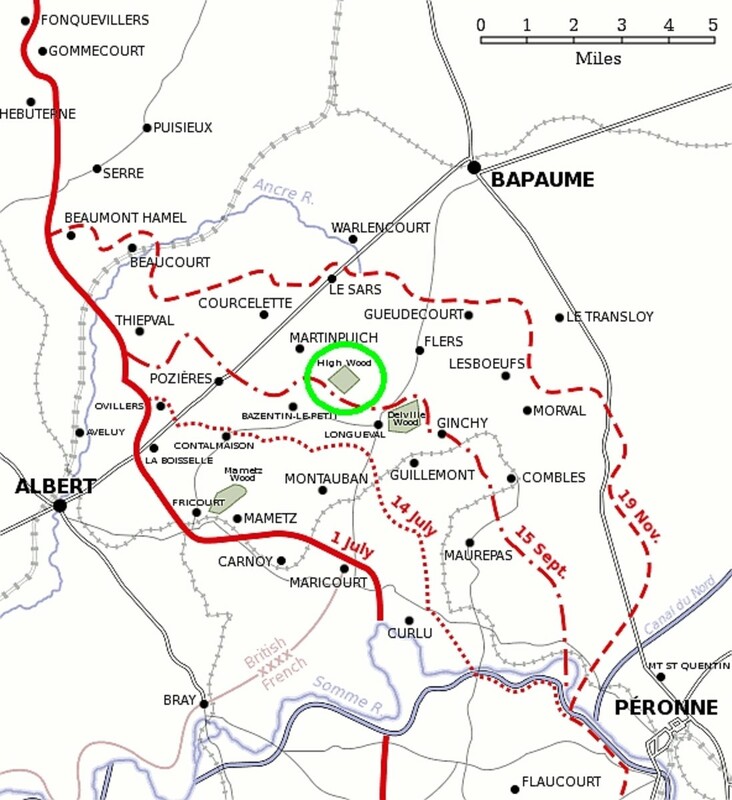 The first time New Army divisions fought was at the Battle of Loos. It didn't go well. The Italian Front has never garnered the attention paid other fronts in World War One. 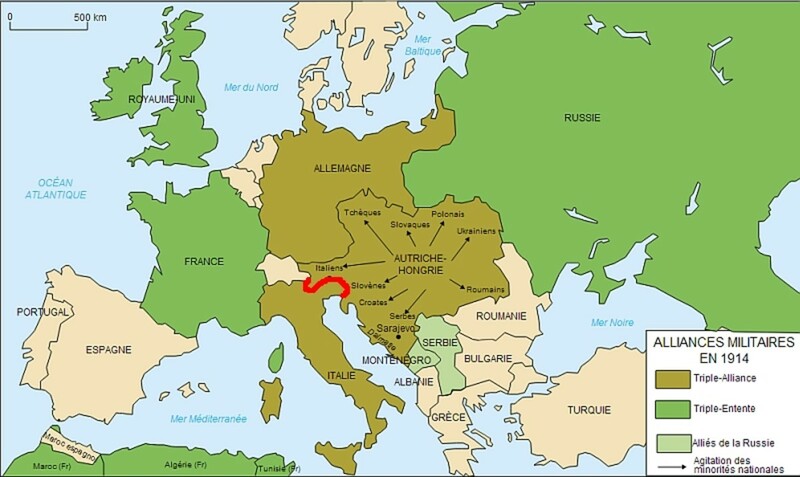 Italy tied down millions of Austro-Hungarian troops which otherwise would have fought against the Russians. 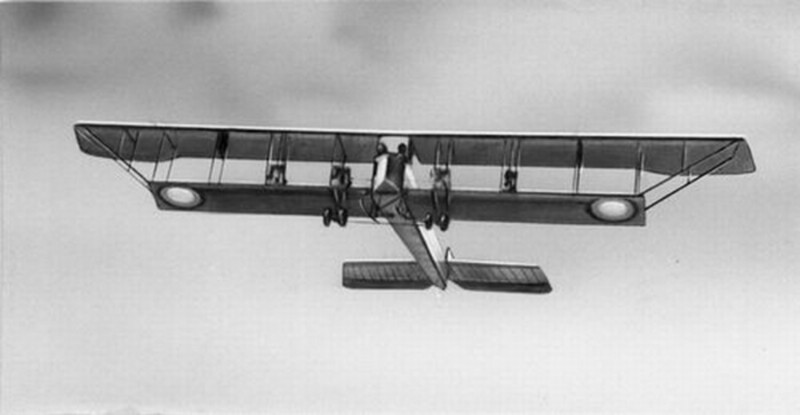 Well before any of the other belligerents in WW1, the so-called backward Russians, produced the four-engine Ilya Muromets, the world's first heavy bomber. 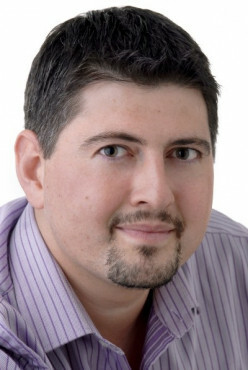 My wife and I switched to Virgin Mobile, mainly to save a lot of money. 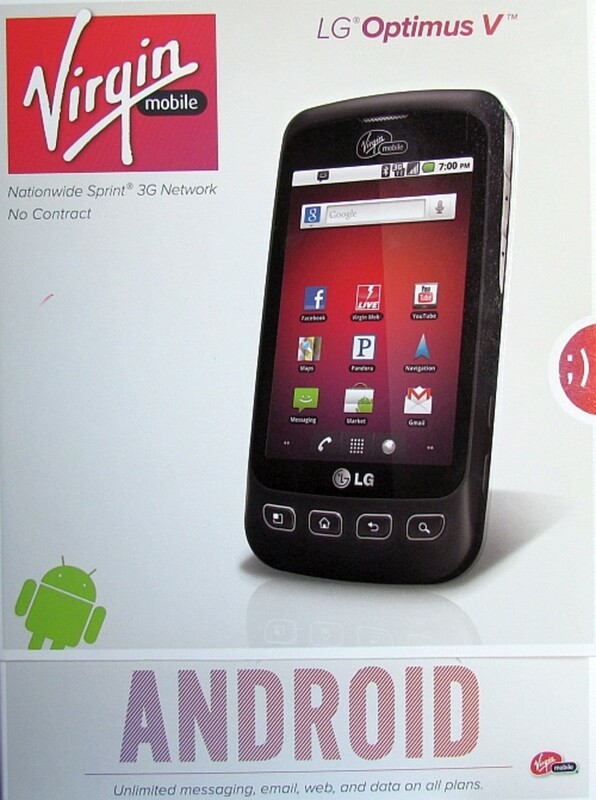 After more than a year with Virgin Mobile, I have definitely formed some opinions. 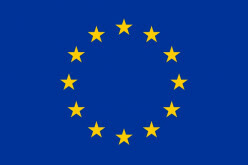 What is Europe? 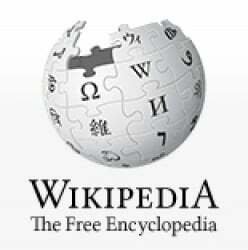 This article identifies four of them-- Continental Europe, the Council of Europe, the European Union and the Eurozone. 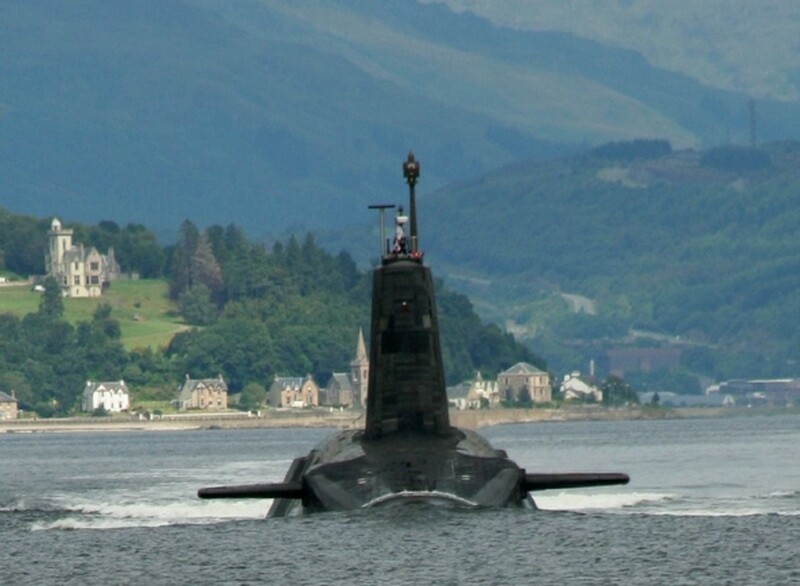 Should Britain and its leaders be destroyed by a nuclear attack, one of their nuclear submarines will carry out the contents of the dead Prime Minister's Letter of Last Resort. 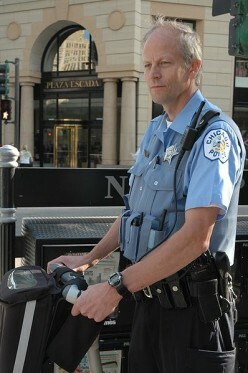 While Sgt. Alvin York achieved fame in World War 1 for single-handedly capturing 132 German soldiers, unsung hero Marine Private Guy Gabaldon, captured nearly 1,500 Japanese in World War 2. Korean Yang Kyoungjong fought in the Japanese Army, the Soviet Red Army and the German Wehrmacht until he was finally captured by the Americans in Normandy in June 1944. 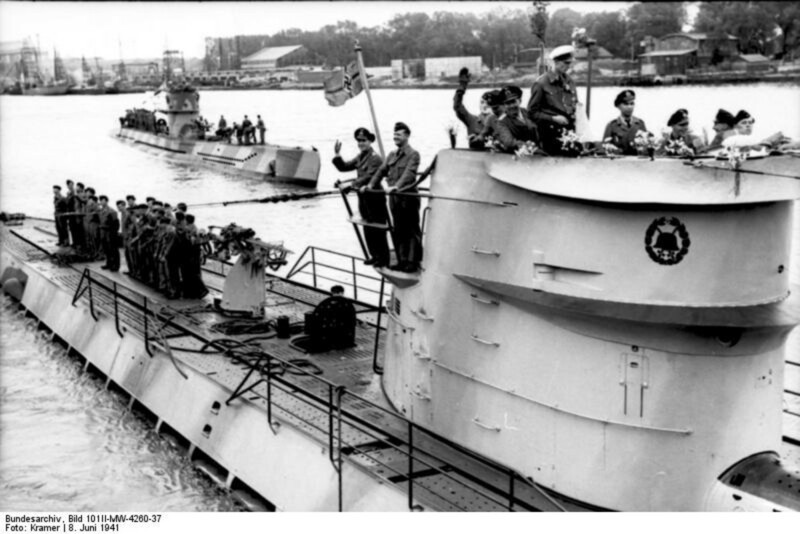 After the war, the German U-Boat U-118 was being towed to France to be broken up for scrap. 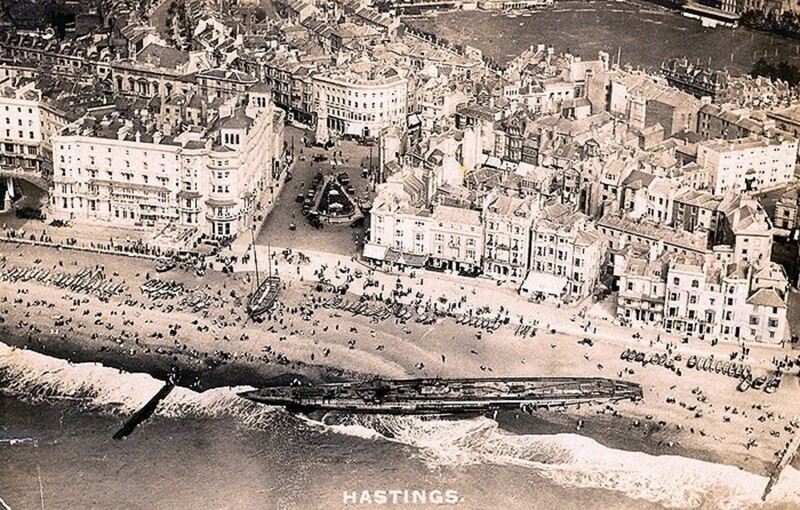 A fierce gale snapped the cable and she ended up washed ashore in front of Hasting's finest hotels. 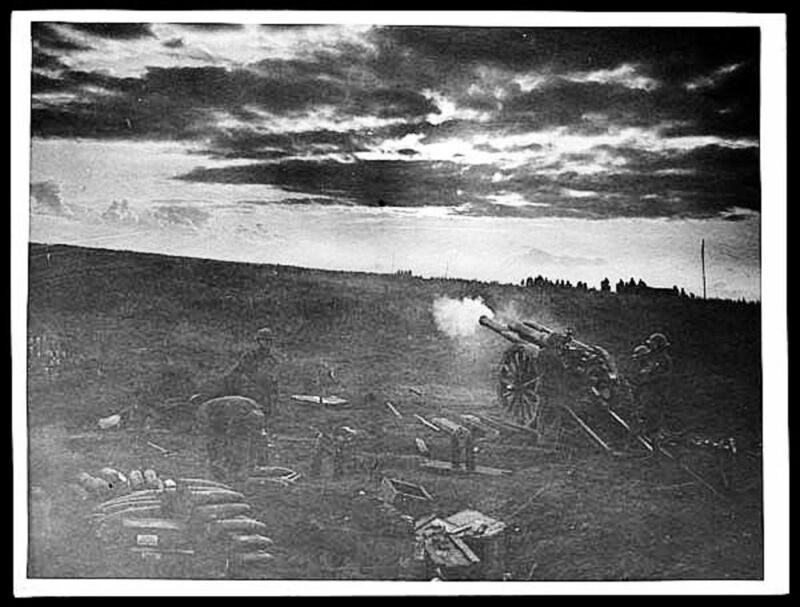 On August 8, 1918, the Germans were taken by surprise when the British attacked and punched a 15-mile wide hole in the front. 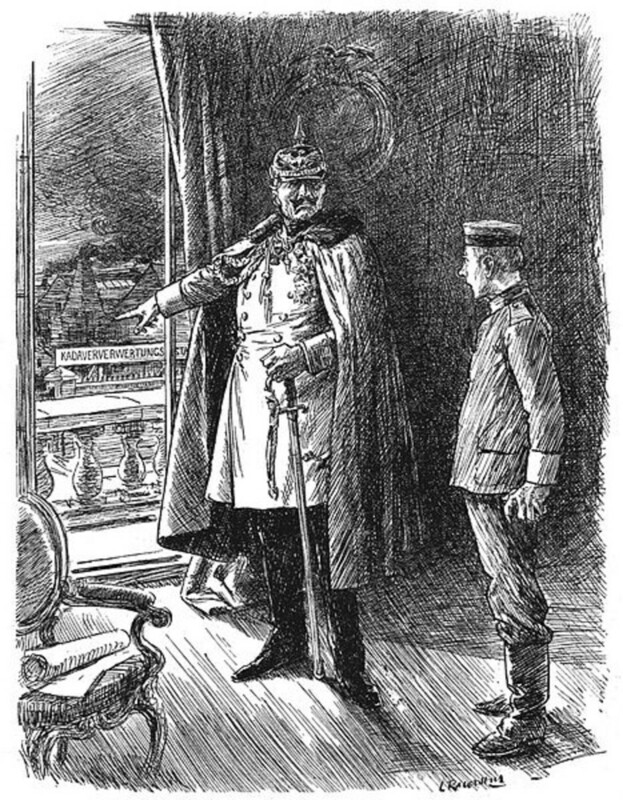 On that day the Kaiser and his generals realized the war was lost. German pilot Franz Stigler only needed to down one more B-17 to receive the Knight’s Cross, Germany’s highest military award as he chased a crippled bomber. What he did entered the annals of history. 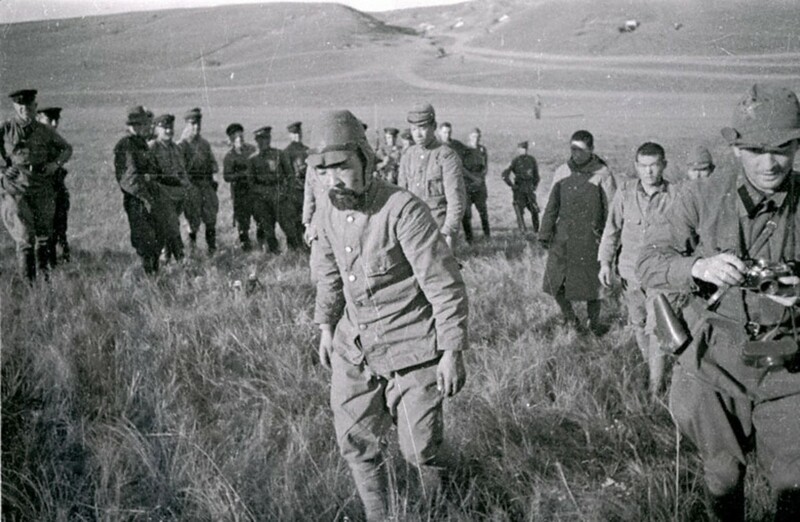 During 1940, the Russians murdered an estimated 22,000 Polish officers, policemen and intellectuals. 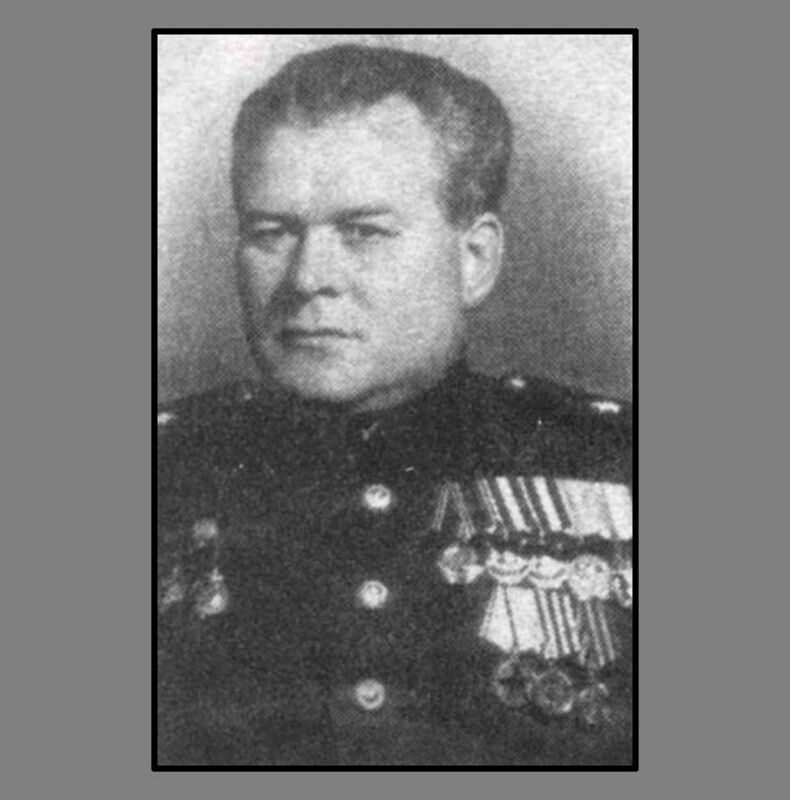 Vasili Blokhin, Stalin's chief executioner, personally shot 7,000 Poles during the Katyn Massacre. 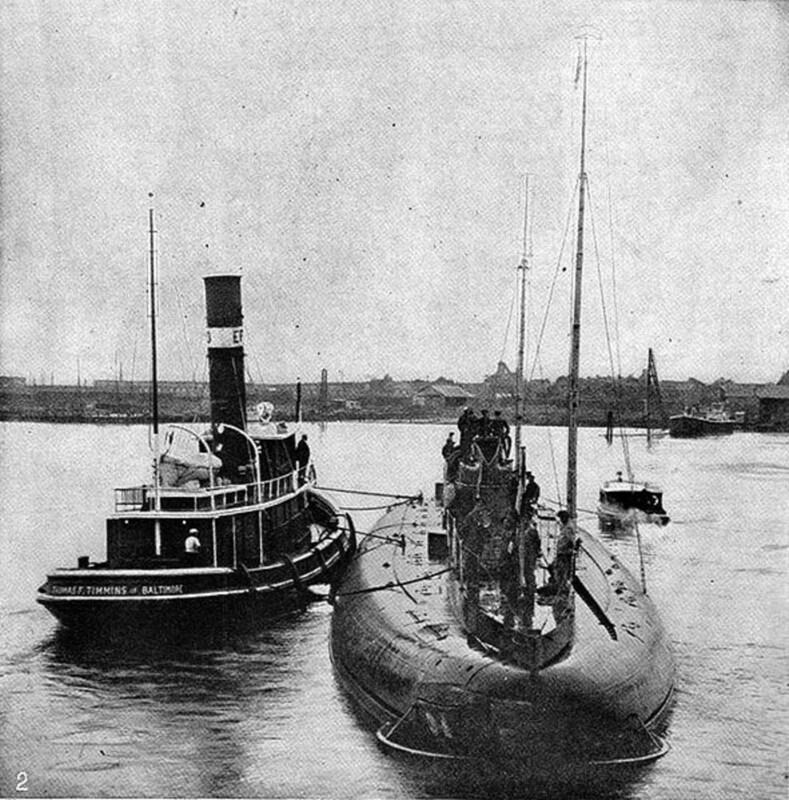 At the start of World War 1, neither the British Royal Navy or the German Imperial Navy took the lowly submarine seriously. 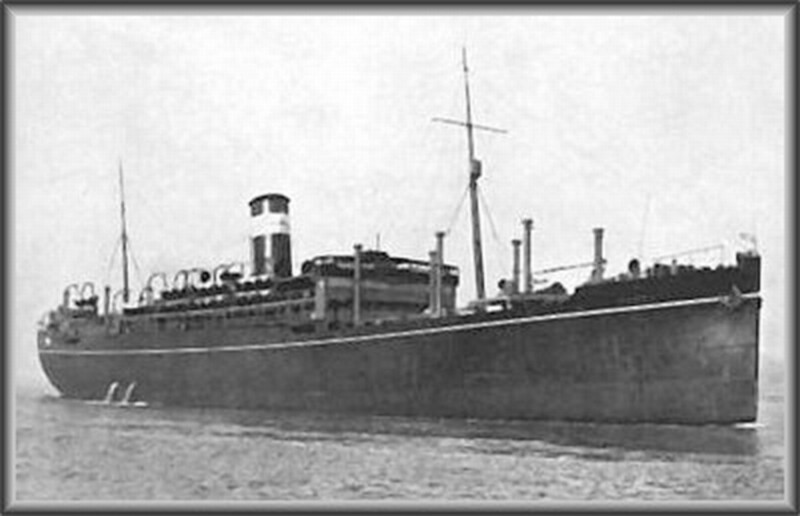 Then German U-boat U-9 attacked three British cruisers. In September of each year the Ig Nobel Prizes are awarded for achievements not quite up to the caliber of the Nobel Committee, or up to anyone's, for that matter. 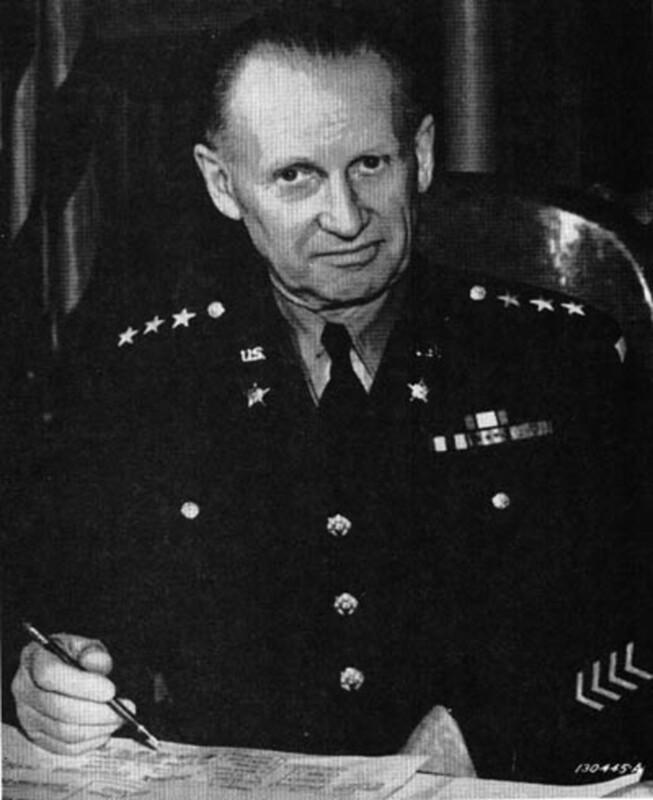 US Lieutenant General Lesley J. McNair died from “friendly fire” when, during the carpet-bombing of German positions in Normandy, some US bombers released their bombs too soon. 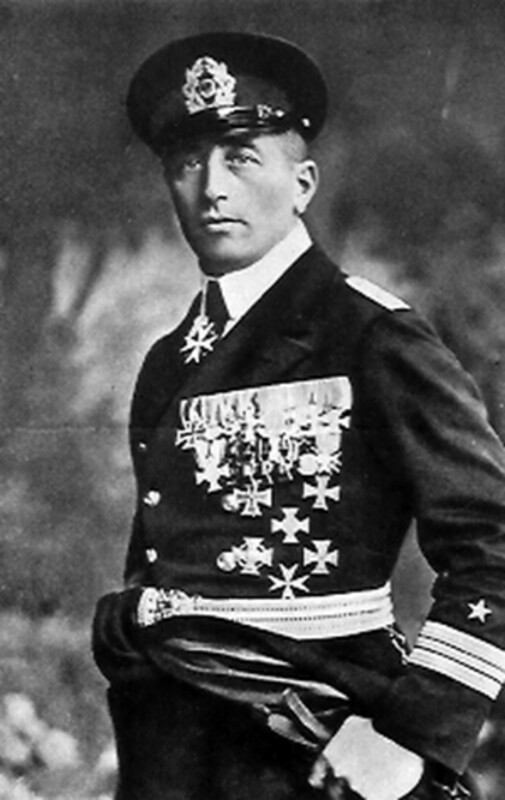 Rudolf von Eschwege was the only German fighter pilot on the Balkan Front. He was so successful that the British finally resorted to setting a diabolical trap for the “Eagle of the Aegean Sea”. 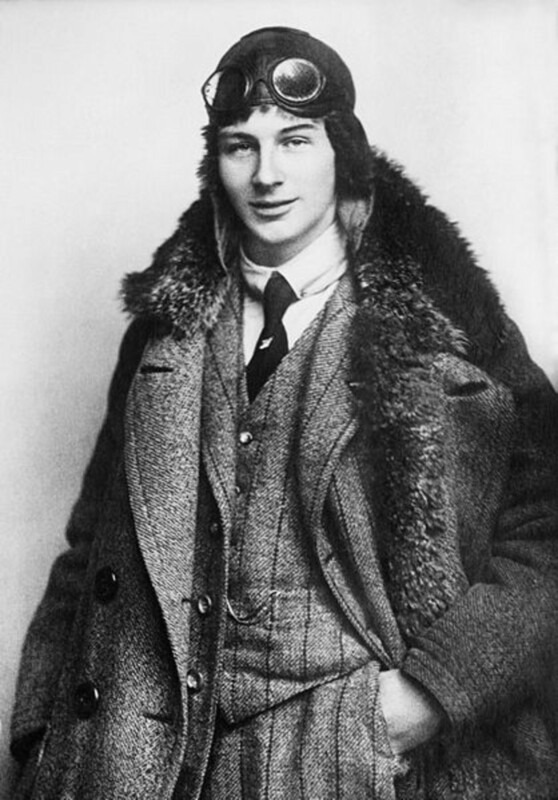 Before Anthony Fokker created the Fokker Triplane, he solved the problem of shooting a machine gun through a propeller, but during tests he told the German generals to do their own dirty work. 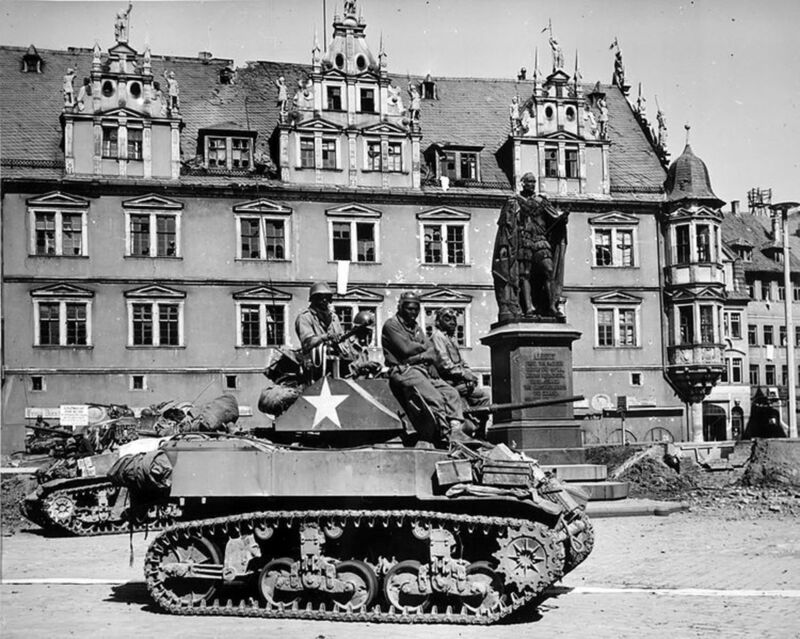 In World War Two, the 761st Tank Battalion (Black Panthers) comprised mainly of African-Americans, endured discrimination, saw extensive action in Europe, and performed magnificently. 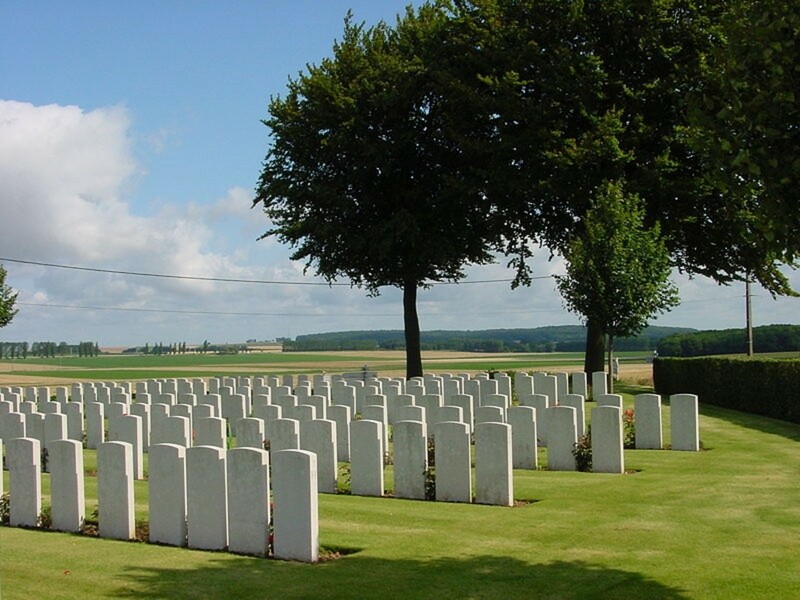 During the Battle of the Somme, the British and Germans fought for 64 days over a 75-acre patch of woods called High Wood. 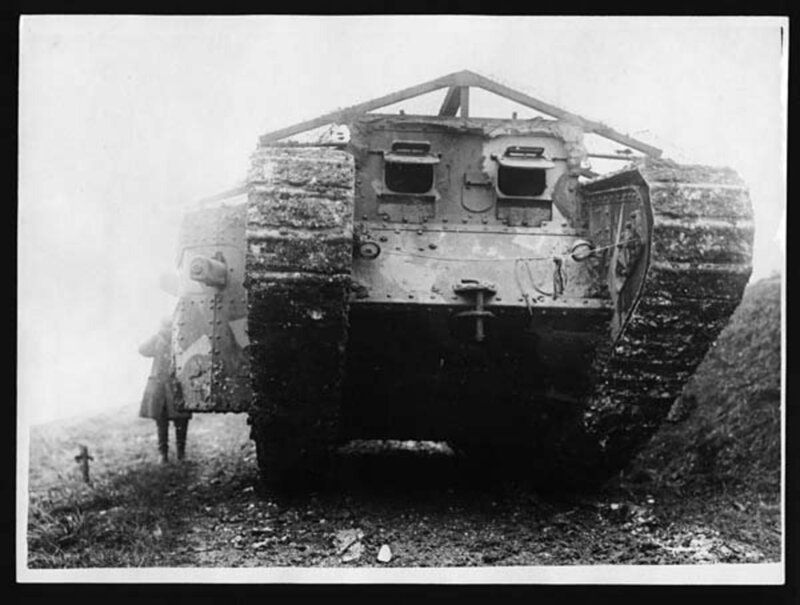 The British threw in cavalry, gigantic flamethrowers and their new tanks. 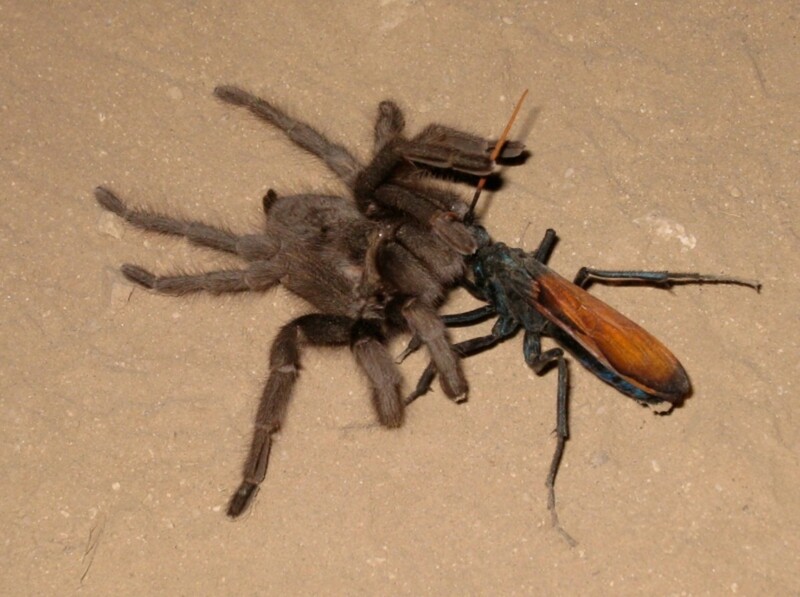 One of the largest wasps has a body averaging two inches in length and lays its egg in a tarantula. One of the smallest wasps lays its eggs inside the egg of a one millimeter-long garden pest. 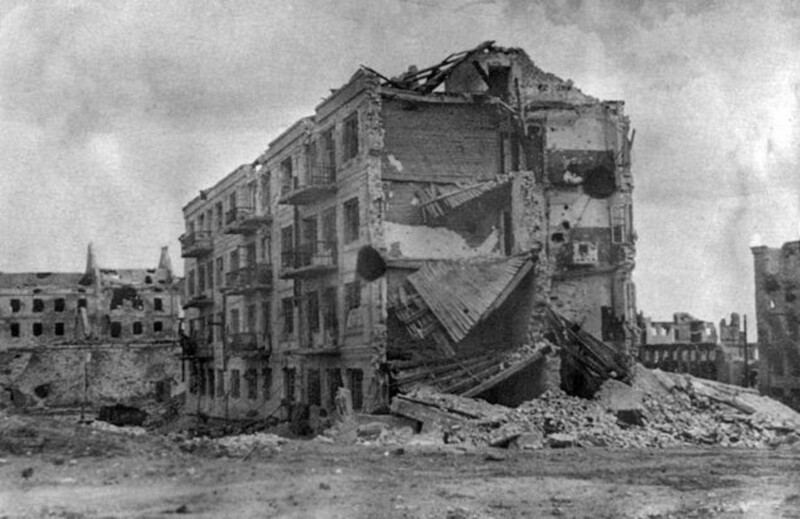 For two months in 1942 Sergeant Yakov Pavlov and his men held off the German 6th Army’s relentless attacks against their four-story apartment building during the Battle of Stalingrad. 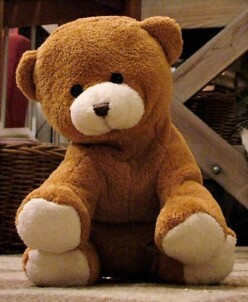 On July 4, 2012, hundreds of elite teddy bear paratroopers parachuted in broad daylight upon a defenseless and stunned Belarus citizenry. 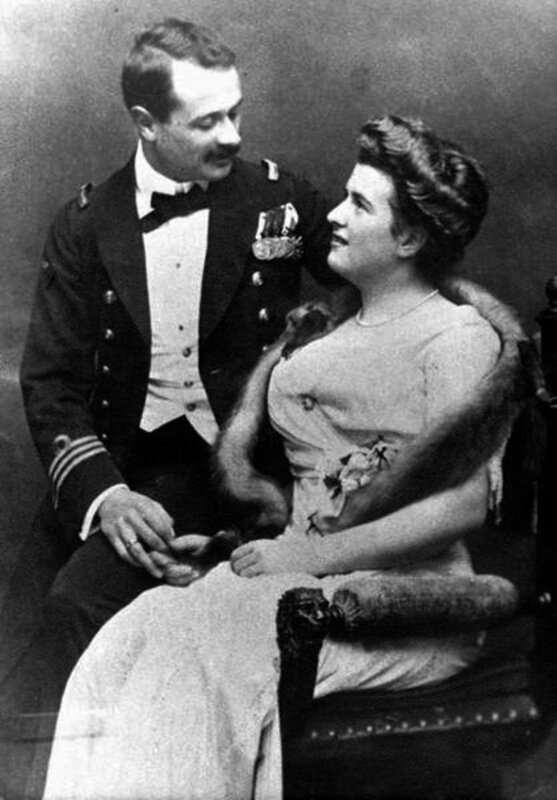 Captain Georg von Trapp, leader of the world famous von Trapp family singers made famous by the Sound Of Music , was, in fact, an Austrian naval hero during World War I.
Csanad Szegedi, a leading member of Hungary's radical right-wing Christian nationalist Jobbik Party, has discovered he is Jewish. Oops. In June 1999, NATO commander US General Wesley Clark ordered troops to seize Kosovo’s airport from the Russians by force. The British questioned this order, not wanting to start World War III. 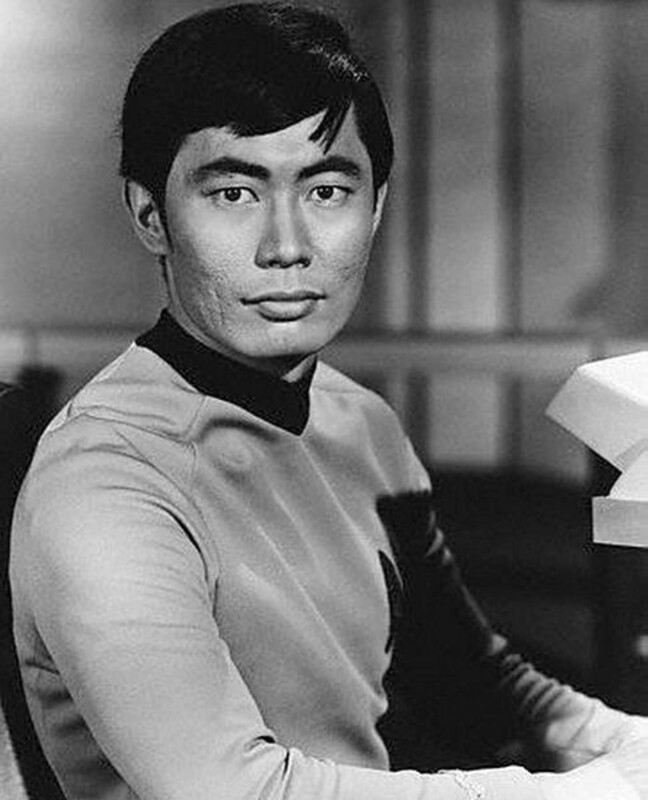 George Takei, who played Mr. Sulu in the Star Trek television series and movies, spent his formative years detained with his family in Japanese-American internment camps during World War II. 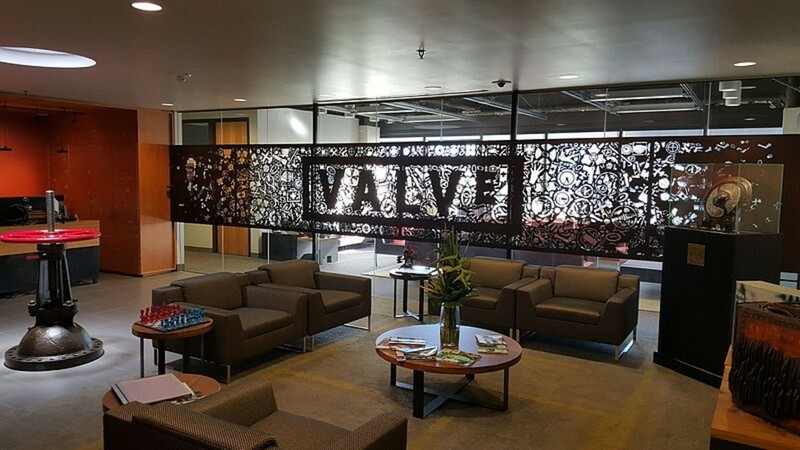 Valve Corporation, a billion dollar company that exploded into existence with its ground-breaking first-person shooter Half-Life, has more than 300 employees and no bosses (except owner Gabe Newell). 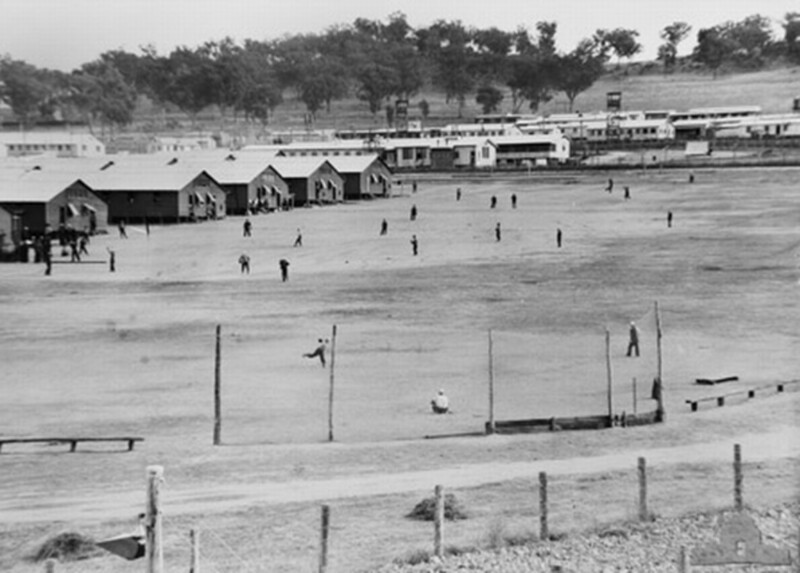 The largest POW escape during World War II occurred near the town of Cowra, Australia when a thousand Japanese prisoners of war rioted and more than 350 escaped temporarily into the countryside. 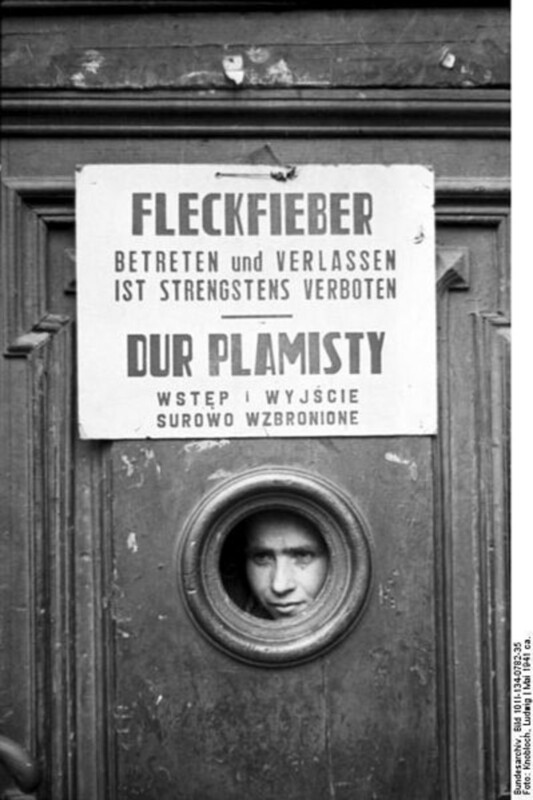 During World War II, two doctors fooled the Germans into believing twelve Polish villages were infected by typhus. 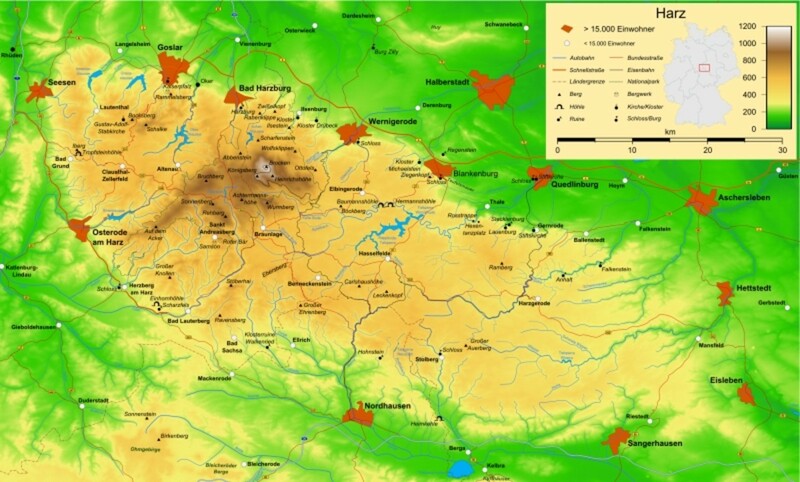 Germans feared typhus so much they would not enter the areas affected. Every August 1, sirens sound over Poland's capital Warsaw and people stop whatever they're doing to honor the 200,000 Poles killed during the abortive Warsaw Uprising against the Germans in 1944. On February 19, 1942, German troops massed on the western edge of Manitoba's capital city, Winnipeg, as If Day dawned. British propaganda in WW1 accused the Germans of shipping their dead soldiers in a “corpse factory” where they would be rendered into oils, candles, nitroglycerin, and other products. 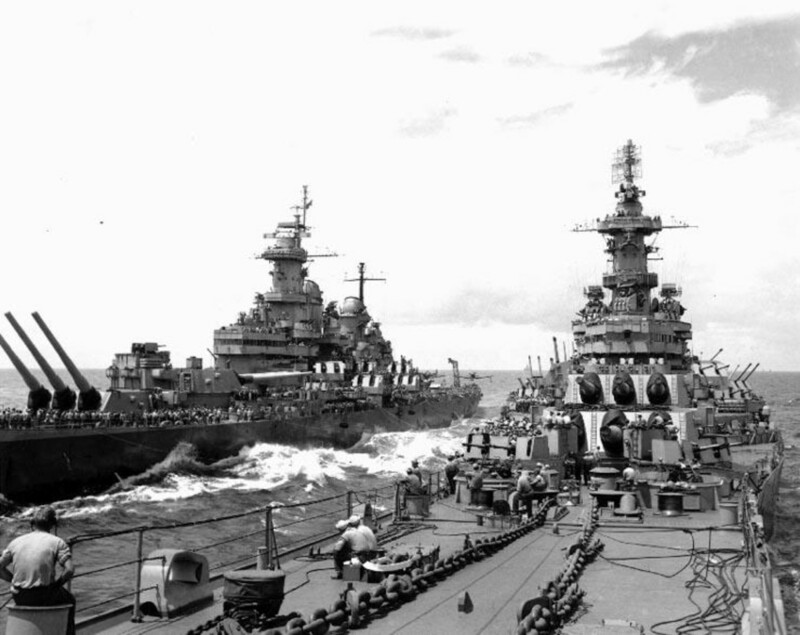 The USS Missouri was was struck by a kamikaze during WW2. What happened after that was controversial and unpopular. 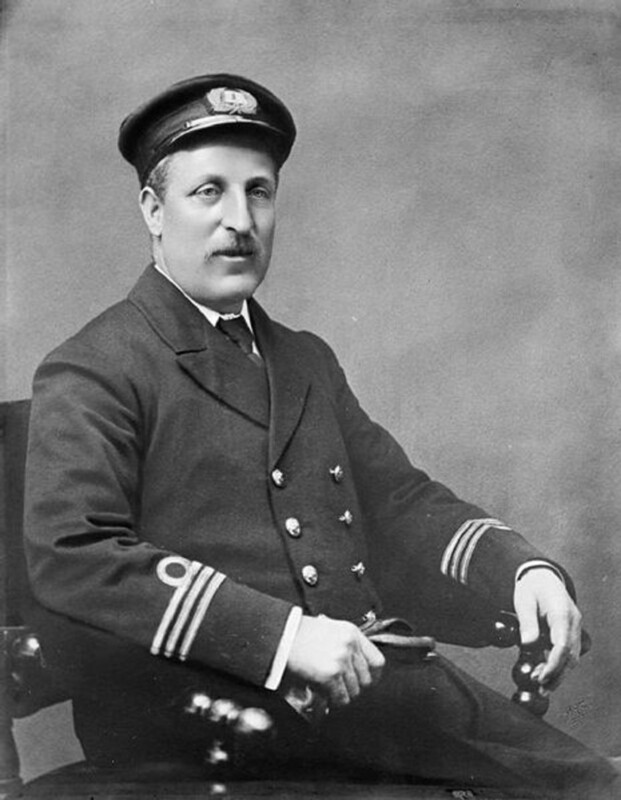 In March of 1915, a passenger ferry captained by Charles Fryatt, tried to ram a German U-Boat that had ordered it to stop. 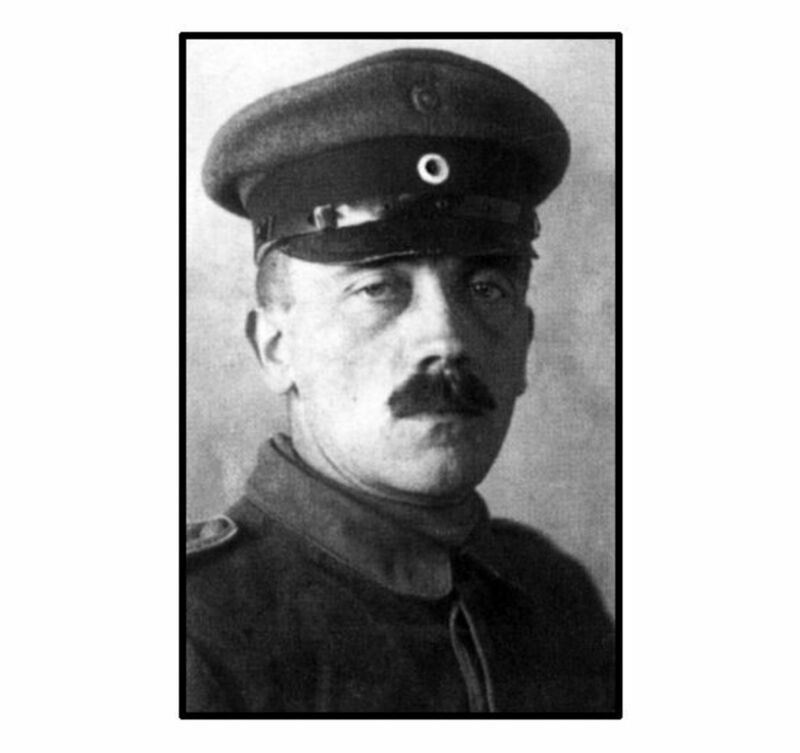 When the Germans captured Fryatt a year later, they executed him. 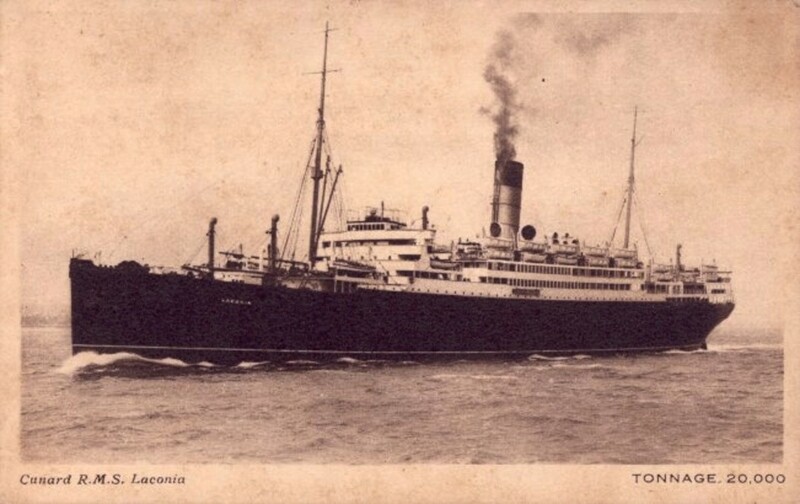 A German U-Boat torpedoed the RMS Laconia and called other U-Boats to help pick up survivors. 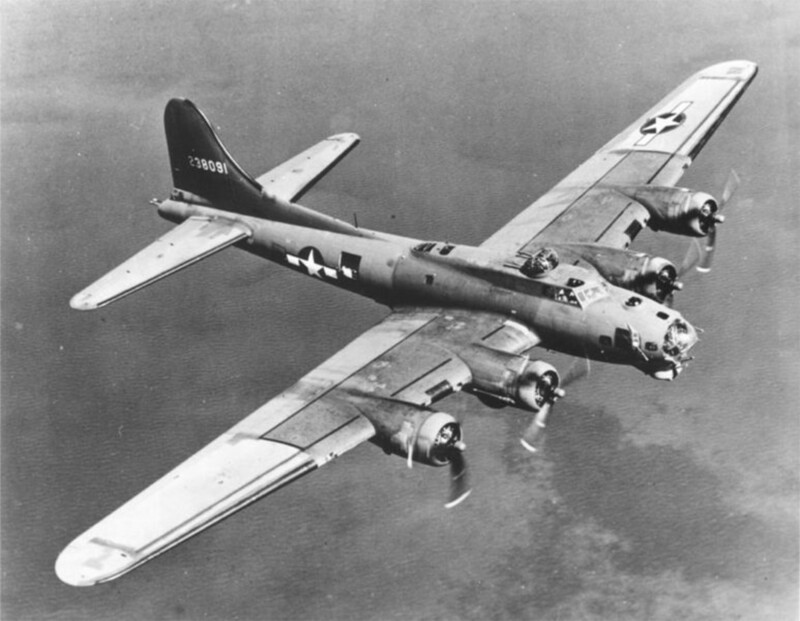 An American bomber attacked the surfaced subs, forcing them to abandon the rescue and dive. Unlike the movies where submarines attack each other deep below the surface, there is only one documented instance in history of a submerged sub attacking and destroying another submerged sub. 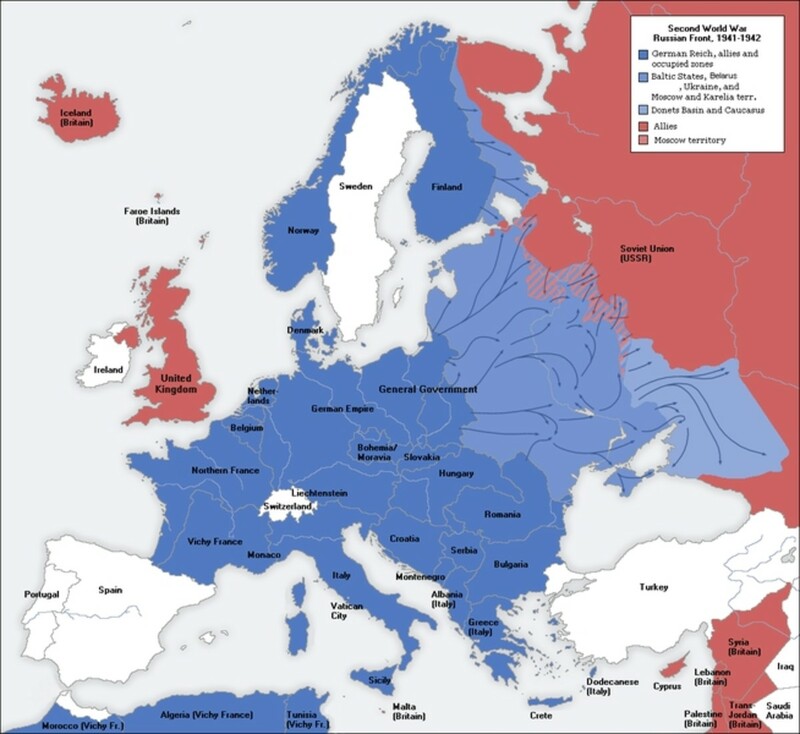 During the six-month-long “Phony War”, the Allies and Germany mostly watched each other (except for naval actions). 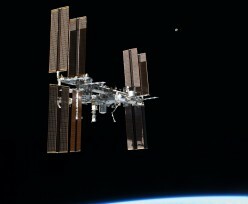 However, during that time, the Soviets aggressively attacked her neighbors. German flak towers were not just elevated anti-aircraft defenses; they were massive fortifications resembling castle towers bristling with anti-aircraft weapons. Not one was destroyed during the war. 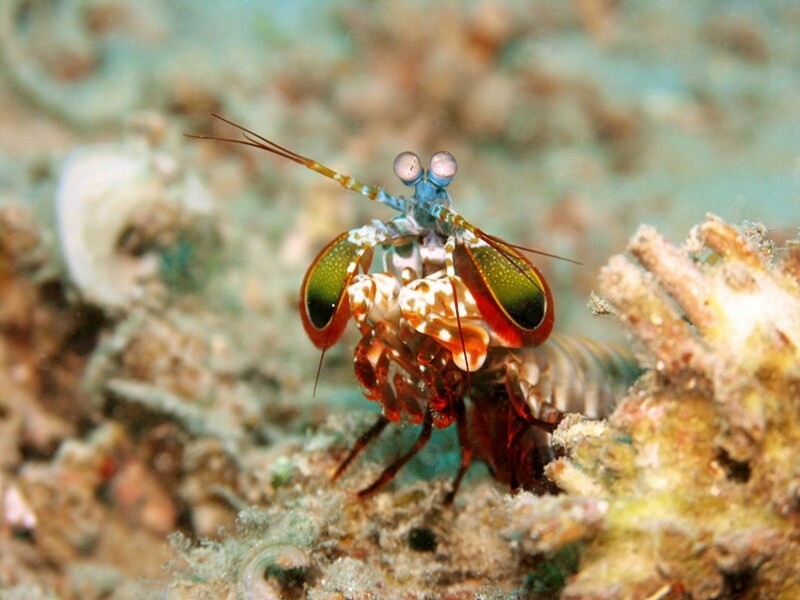 The peacock mantis shrimp has drawn the interest of the military because of the power of its tiny fists of fury which can punch holes through clam shells. 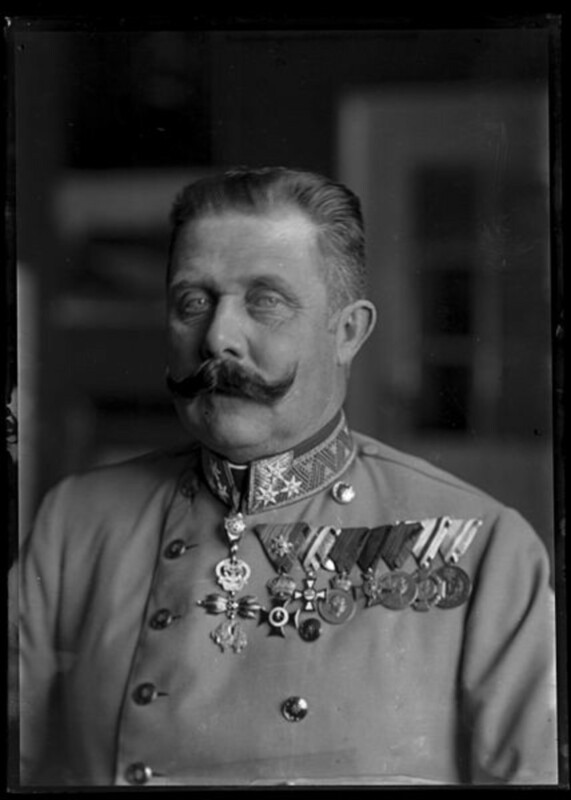 There was no lone assassin waiting to kill Archduke Franz Joseph, heir to the throne of Austria-Hungary, on June 28, 1914. There were seven on the streets of Sarajevo that day. 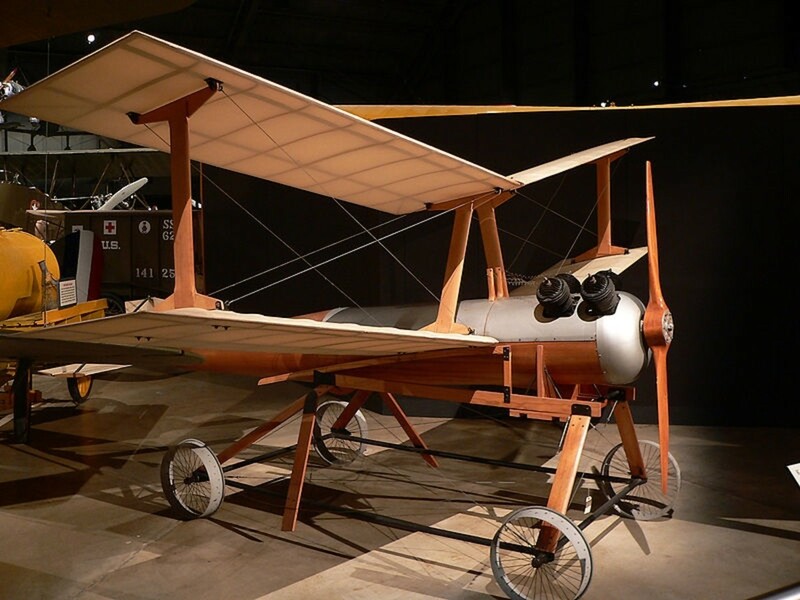 The Germans launched their V-1 flying bombs during World War 2, but the very first pilot-less bomb was developed by the Americans during World War 1. 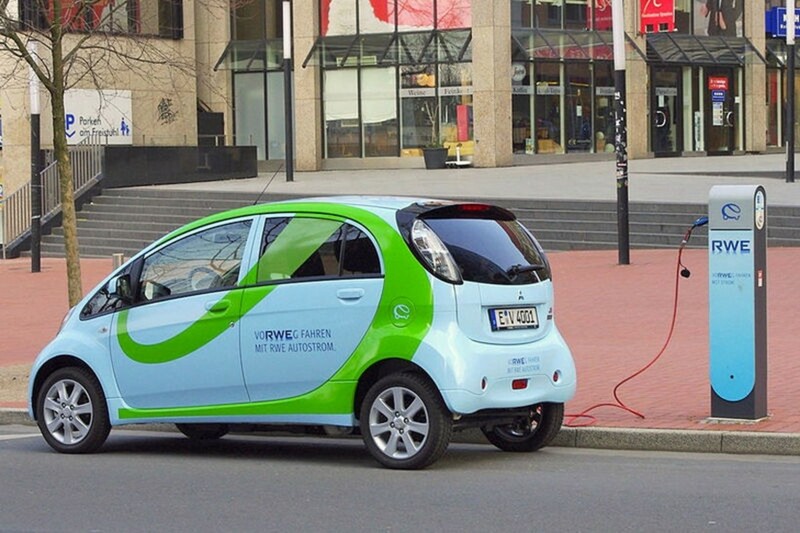 Estonia has started implementing its plan to have fast-charging electric vehicle (EV) stations nation-wide, including its largest islands. 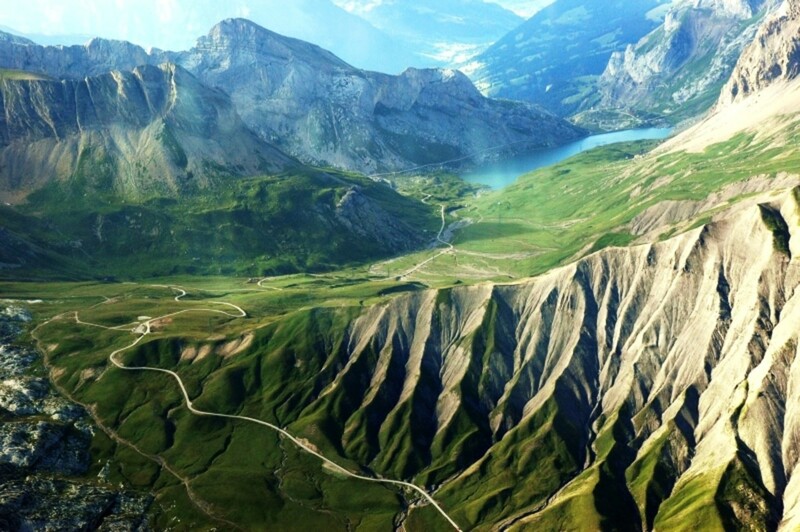 How has Switzerland remained neutral for almost 200 years? It’s not because they declared their neutrality; it’s because they have ensured that invaders would pay dearly for attacking it. The front line troops in the trenches of World War 1, like soldiers in every war, devised their own slang to describe their world. Some terms will be familiar, some will not. 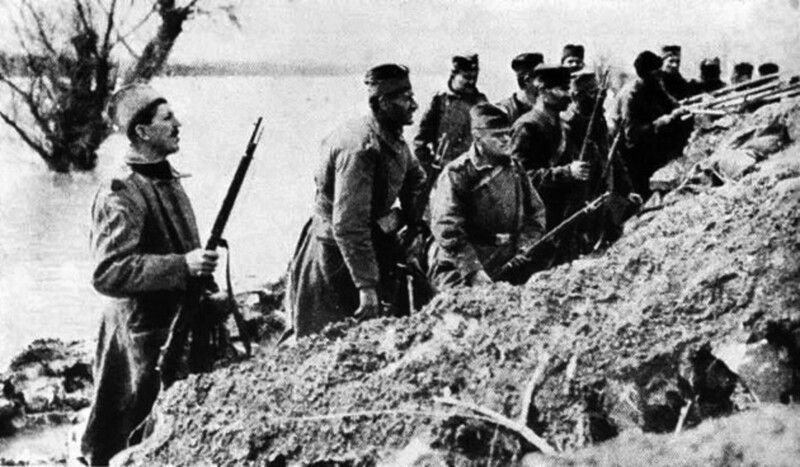 Although World War I was sparked by the assassination of Archduke Franz Ferdinand in the Balkans, the fighting in Southeast Europe is not well-known. 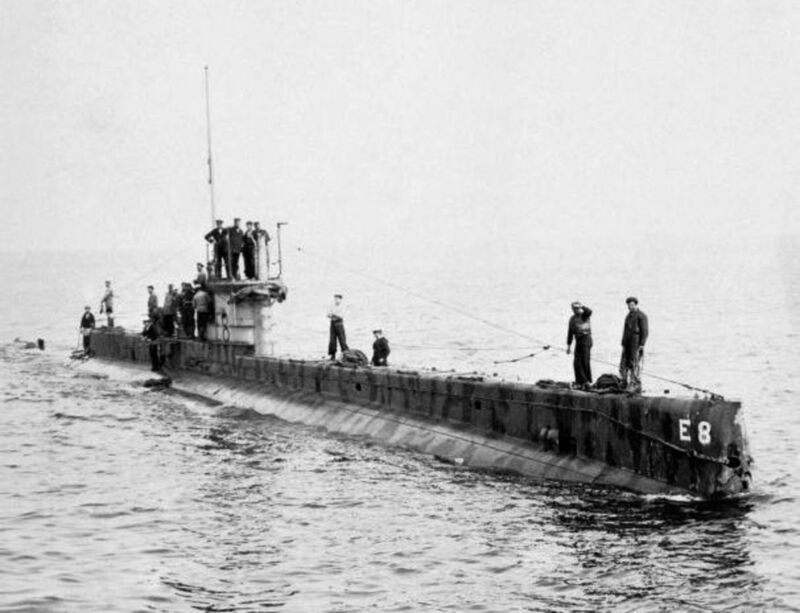 Germany built the oversized U-Boat Deutschland as an unarmed merchant submarine that could carry cargo long distances and evade the British naval blockade of Germany during World War 1. Allied intelligence services had many notable successes, as did the Germans. One was the control of British agents sent into the Netherlands from 1942 to 1944 in what they called The England Game. 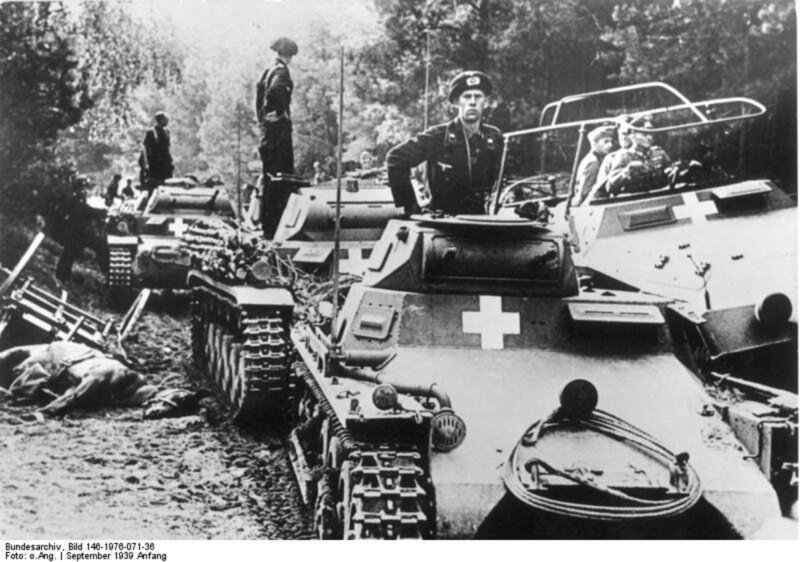 When World War Two erupted, Switzerland declared its neutrality, but after France surrendered in 1940, Hitler started planning Operation Tannenbaum (“Christmas Tree”), the invasion of Switzerland. After the Bismarck was sunk, the British breathed a sigh of relief, but knew they would then have to reckon with her more heavily armored sister ship, the battleship Tirpitz. When the Germans invaded Norway on April 9, 1940, the naval group assigned to capture the capital city of Oslo expected little resistance, but the old Oscarsborg Fortress spoiled their plan. 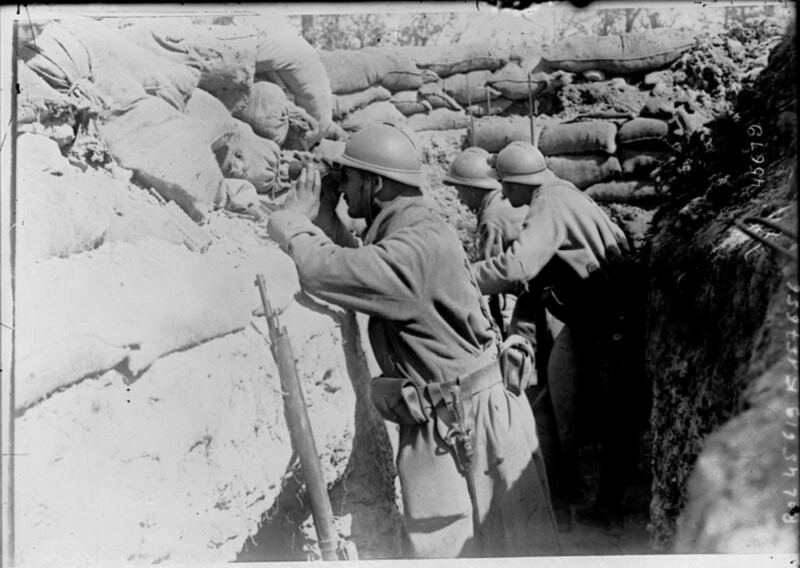 During World War 1 soldiers discovered the weapons they had been issued were not always best suited for trench warfare. Proving that necessity is the mother of invention, they adapted. 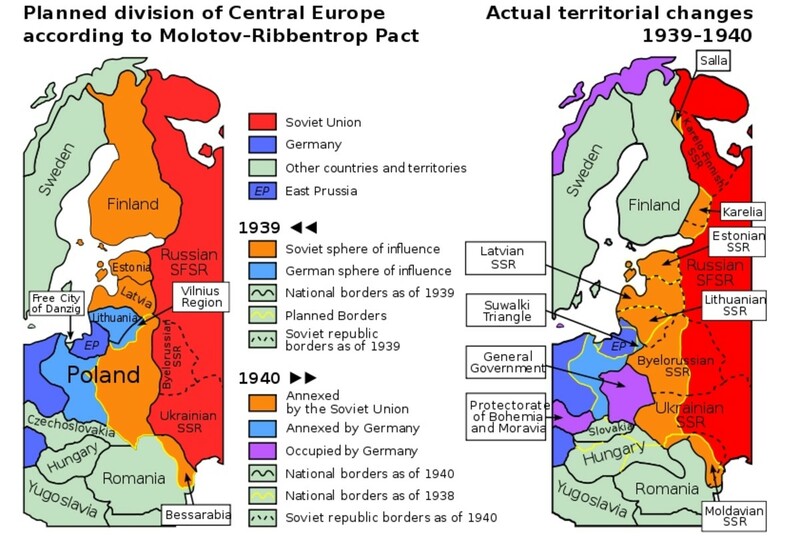 The Eastern Front in World War 1 was every bit as horrendous as the Western Front and the war in the west cannot be fully understood without appreciating the effect the war in the east had on it. The Medicare Doughnut Hole for prescription drug coverage is larger than you think. Brilliant minds have concocted two different definitions of “cost”-- and guess who it doesn't favor. With today's soldiers lugging equipment approaching 100 pounds, their effectiveness is being compromised. 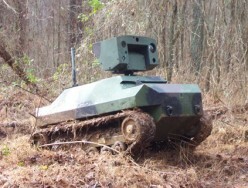 Research is underway to produce “robotic mules”, bearing burdens of up to 400 pounds each. When the British made life difficult for German submarines, the U-boats began patrolling US waters. They enjoyed so much success against the unprepared Americans, they called it the Second Happy Time. 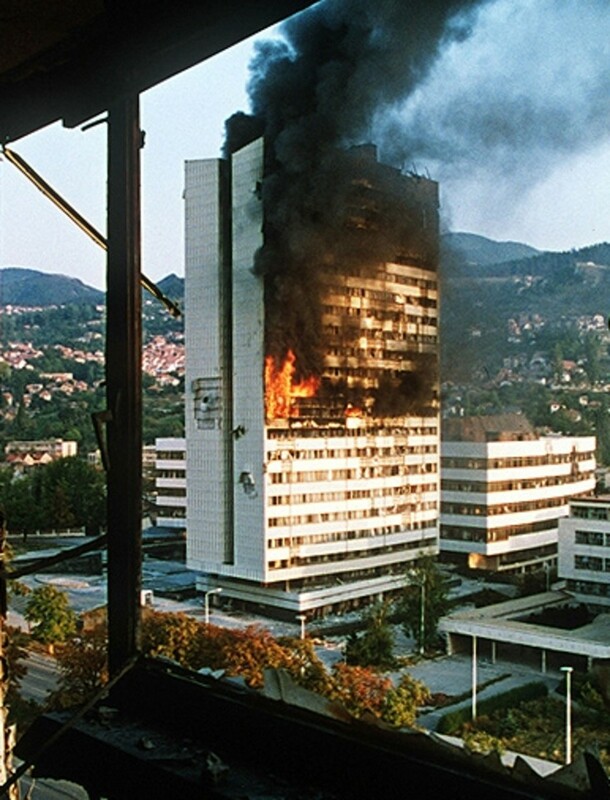 Starting in 1992, Sarajevo, capital of the Republic of Bosnia and Herzegovina, was under siege that lasted from 1992 to 1996, the longest in modern history-- longer even than the Siege of Leningrad. 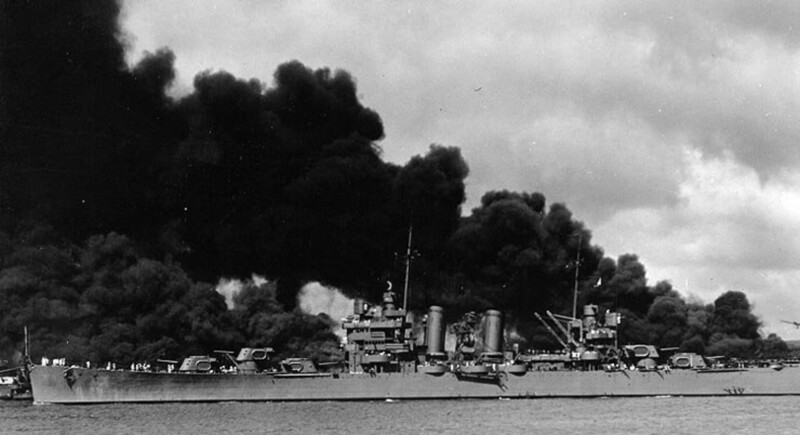 The USS Phoenix survived Pearl Harbor and the War in the Pacific and was later sold to Argentina. She was renamed ARA General Belgrano and sunk by the British during the Falklands War on May 2, 1982. 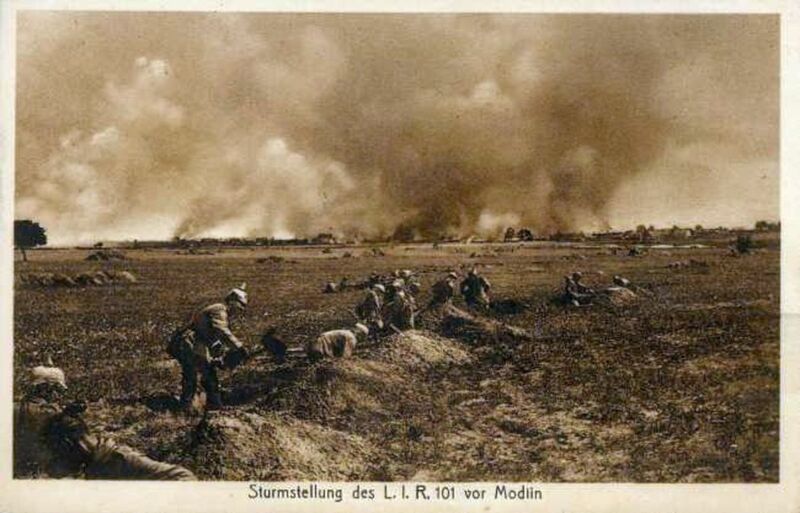 Three little-known stories about World War 1. The first is about wolves on the Eastern Front; the second is about the armaments business; the third is about horses in the war. In 2008, Iowa experienced the worst flooding in recorded history. 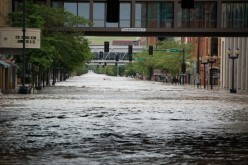 Cedar Rapids was its hardest hit city, losing all but one of its wells to the rising waters. This is how we saved the last well and the city's water supply. 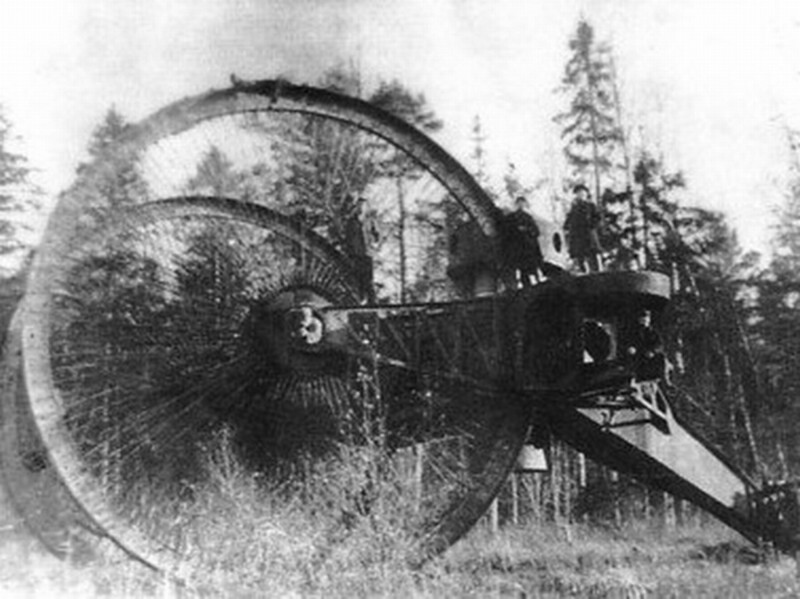 In World War 1, the Russians created a tank that weighed 60 tons and resembled a giant backwards tricycle. 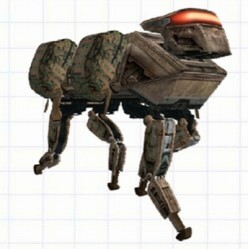 An advancing line of them would have been awesome had its prototype lived up to the hype. The 25,000 ton Wilhelm Gustloff had a normal capacity of 1,500 passengers. 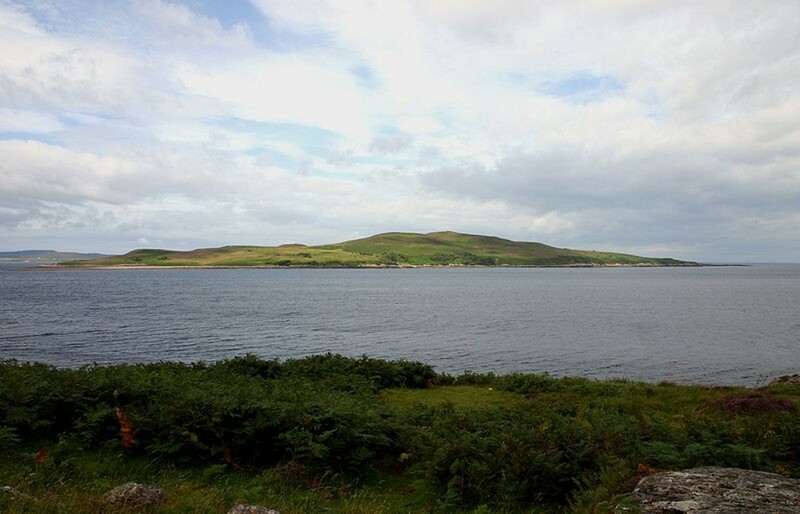 When it was sunk by a Soviet submarine, as many as 9,400 of the 10,600 aboard perished. Only 1,252 survived. 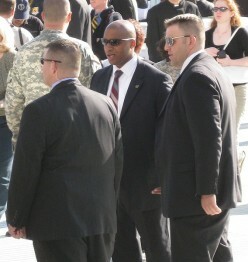 The Secret Service is in the news for all the wrong reasons. This is about the time they prevented an assassination attempt on President Clinton in 1996 based on last minute radio chatter. 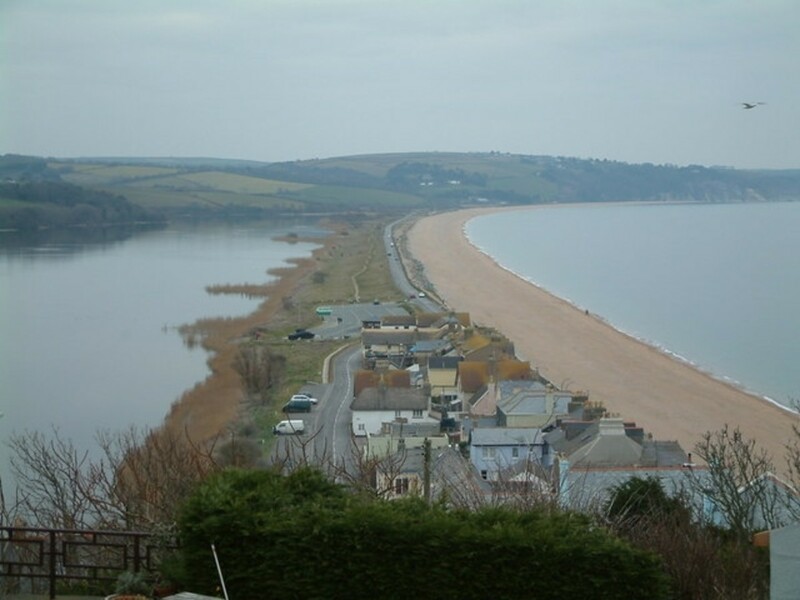 Exercise Tiger was a series of full dress rehearsals for the D-Day invasion. 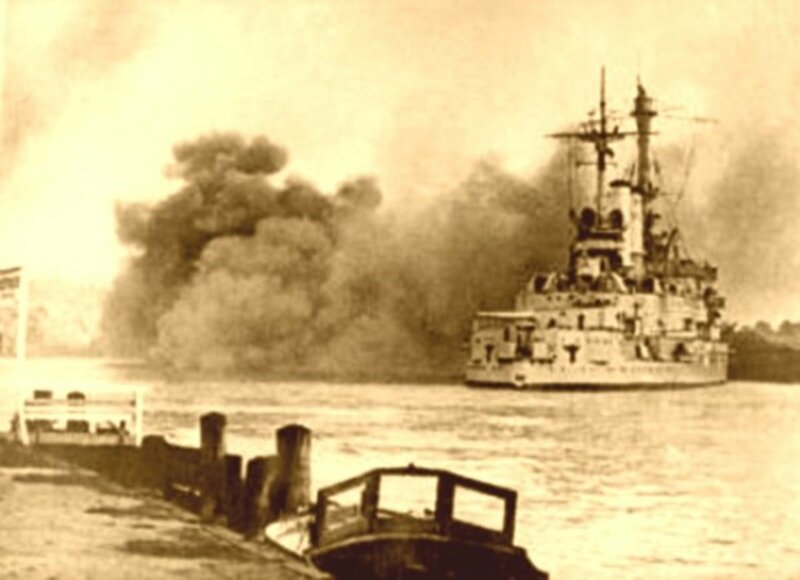 On April 28, 1944, the flotilla was attacked by German E-boats, killing 749 American soldiers and sailors. 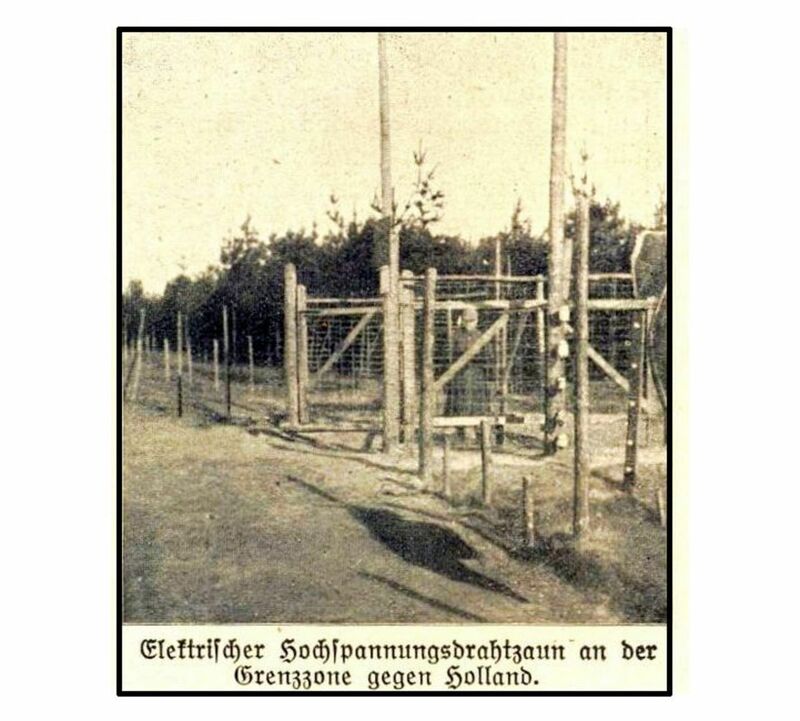 To stop thousands of Belgians, spies and smugglers from slipping over to the neutral Netherlands, the Germans constructed an electrified border. Up to 3,000 people were electrocuted. 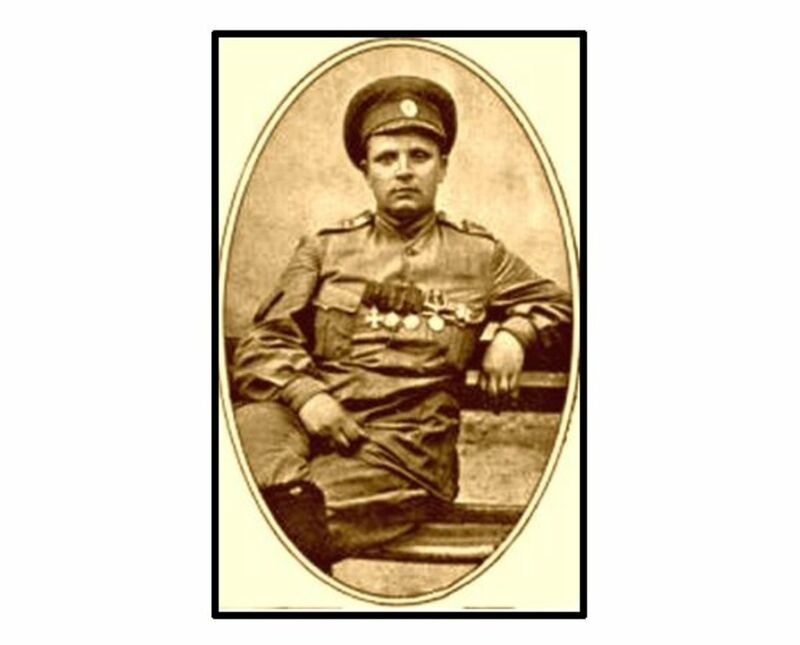 Maria Bochkareva was the only woman allowed to join a combat unit in any army in 1914. She formed and commanded the 1st Russian Women's Battalion of Death in 1917 and led it into battle. NATO needs to transport hundreds of thousands of vehicles and other equipment out of land-locked Afghanistan. There are tortuous routes through Central Asia and Russia in addition to the way through Pakistan. 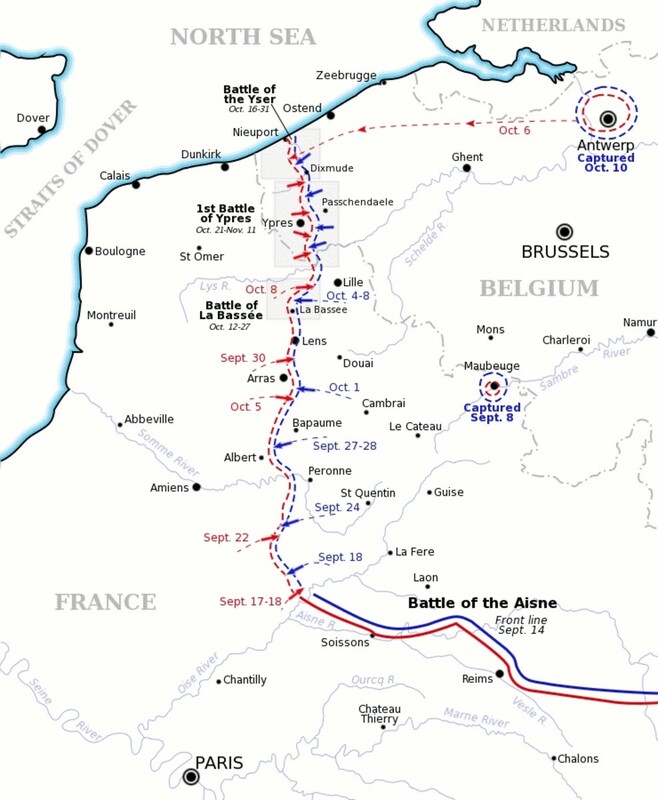 In October 1914, as the armies on the Western Front tried to outflank each other, the Germans tried one last time to go around the Allies, but the Belgians stood in their way at the Yser River. 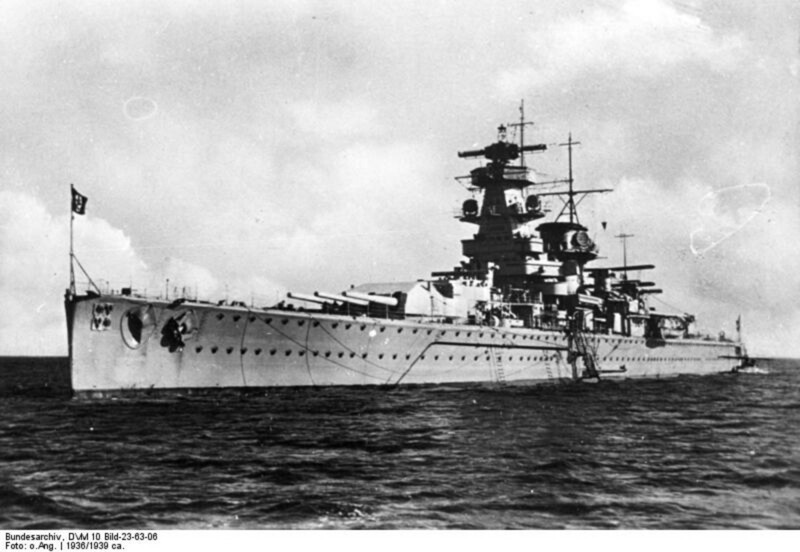 The Admiral Graf Spee was loose in the South Atlantic. Finally cornered in the port of Montevideo by British cruisers, she was deceived into scuttling herself instead of blasting her way out. Some of Adolf Hitler's quotations regarding propaganda, leadership and religion and how they reveal the man and his methods. Some may find these chilling in light of the current state of the world. Estonia has the highest death rate related to drug overdoses in the EU. Many of those deaths are caused by a powerful synthetic heroin called “China White”, clinically known as Fentanyl. 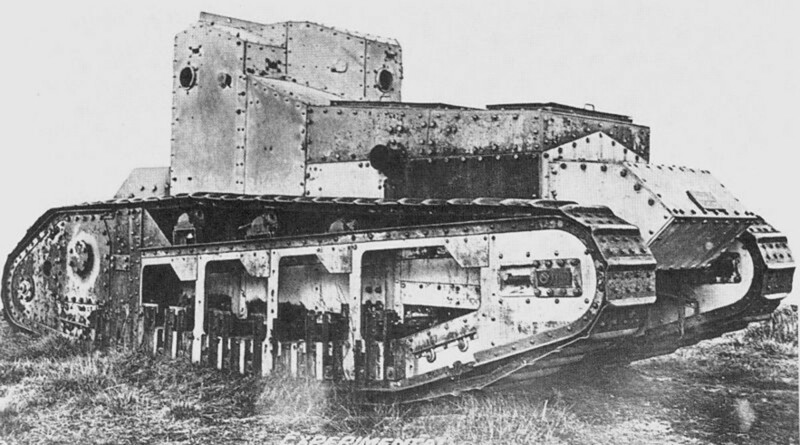 In 1918, the British introduced the Whippet, a light tank armed with four machine guns. 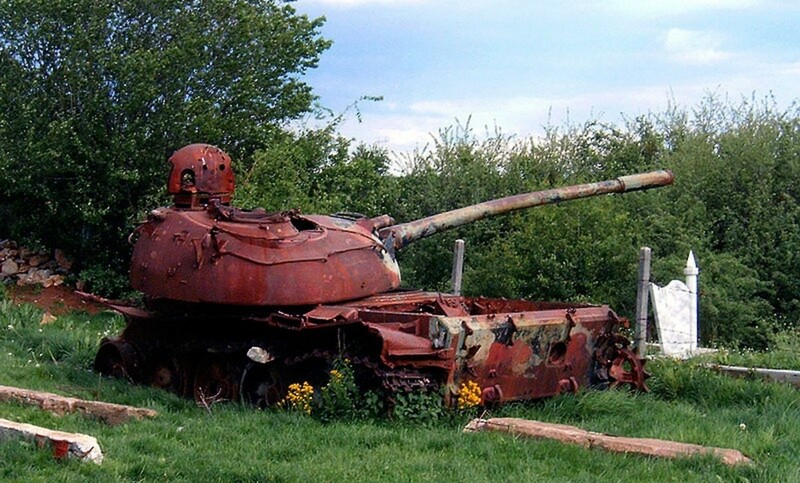 During the few months they were in use they established themselves as one of the best tanks of the war. Iowa: Corn, Pigs and... Nuclear Weapons? Iowa, land of corn and pigs, caucuses and... nuclear weapons. After World War II, Uncle Sam had to come to Iowa to get his nuclear weapons. 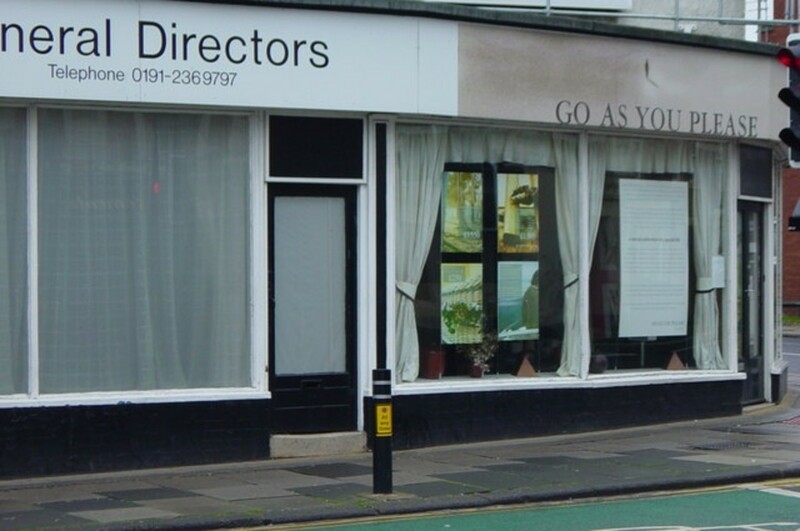 They weren't made anywhere else until into the Fifties. 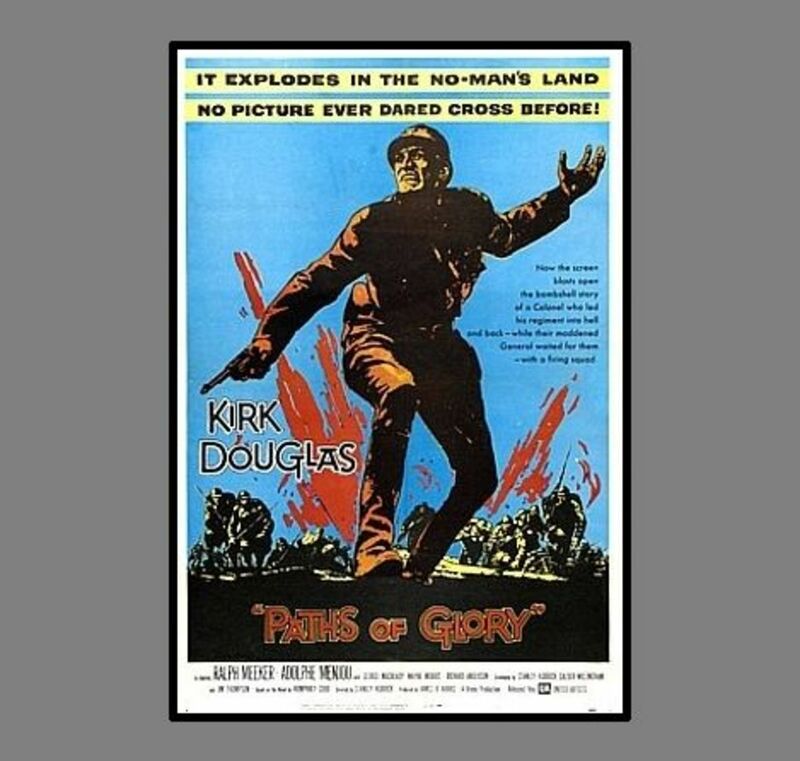 Here are ten movies I saw as a kid growing up in the sixties and how I saw them then and how I see them now. Some stand the test of time, some stink and some are guilty pleasures. 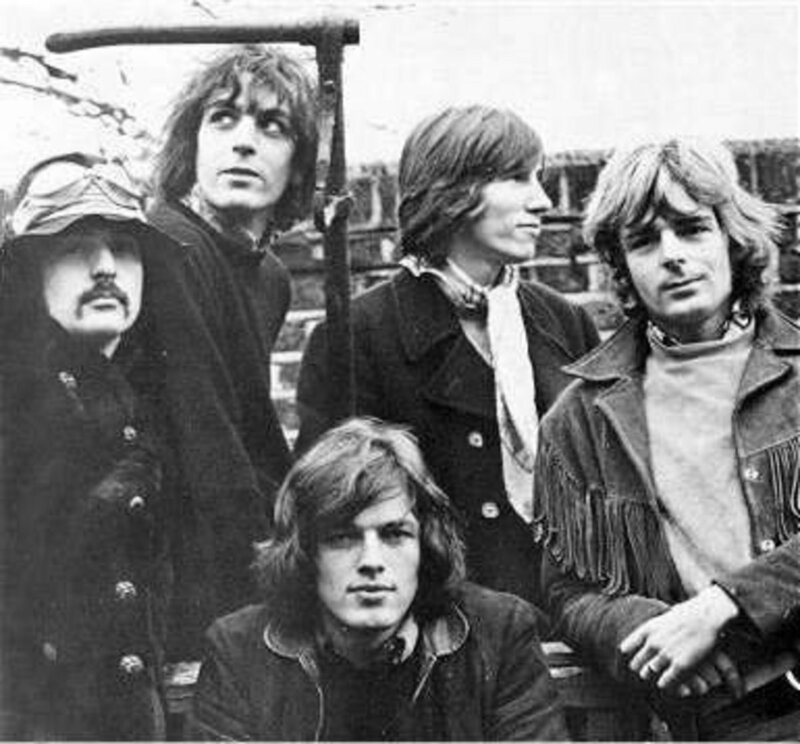 Syd Barrett was a founding member of Pink Floyd, but he was only a member from 1965 until 1968 due to his descent into madness, accelerated by drugs. 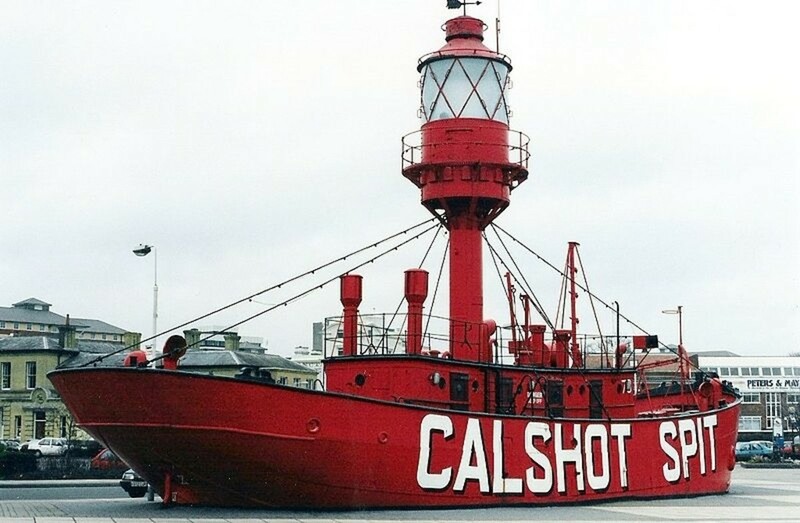 From towed wooden ships to steel-hulled, diesel-powered platforms with helipads, floating lighthouses have been used for nearly 300 years in places where lighthouses couldn't be built. In 1994, the MS Estonia, sailing from Tallinn, Estonia to Stockholm, Sweden with 989 crew and passengers, sank in rough seas with a loss of 852 lives. 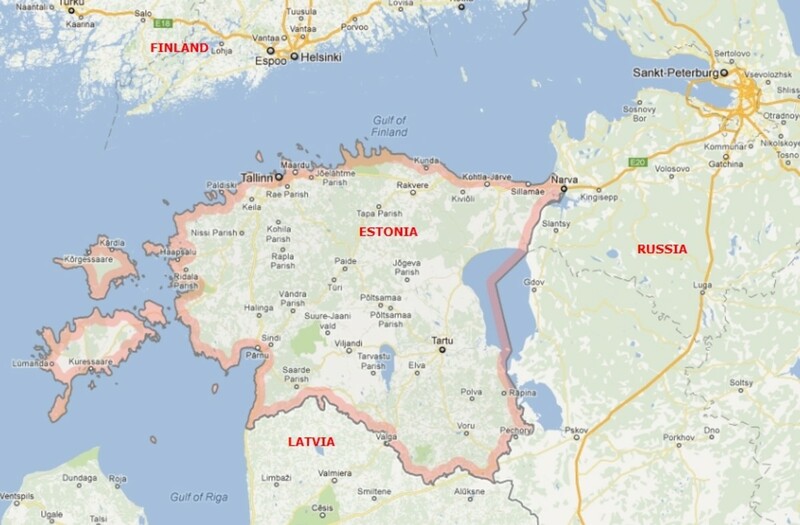 Only 137 survived the icy waters of the Baltic Sea. This is my top ten list of what I consider to be the ten best guitar solos of all time in order of greatness. I take full responsibility for all inclusions and exclusions and the order they are in. Latvia's Legion Day: Latvians Remembering Nazis or Comrades? Veterans of Latvia's Legion, which fought for the Germans in World War II, parade each Legion Day, March 16, as government groups struggle to address accusations that this glorifies Nazism. 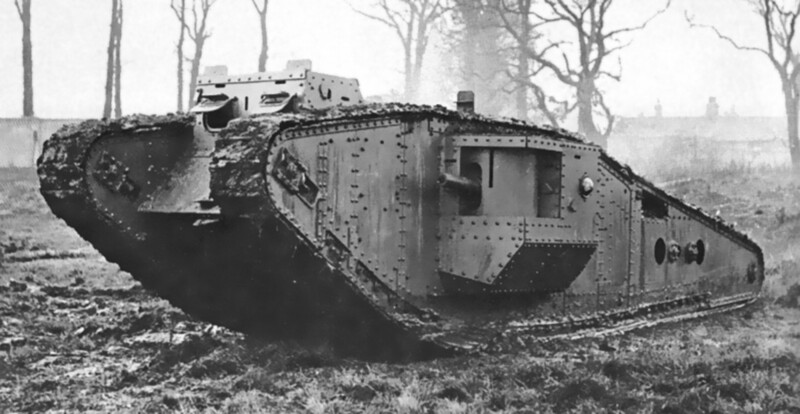 On April 24, 1918, three British Mark IV tanks (one male and two females) encountered three German A7V tanks. What ensued was the very first tank vs tank battle. 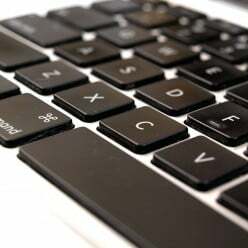 The UK government will open bids to private companies to assume police activities in at least two of its largest police forces. These police activities include: investigating crimes, detaining suspects, developing cases and responding to and investigating incidents, among others. 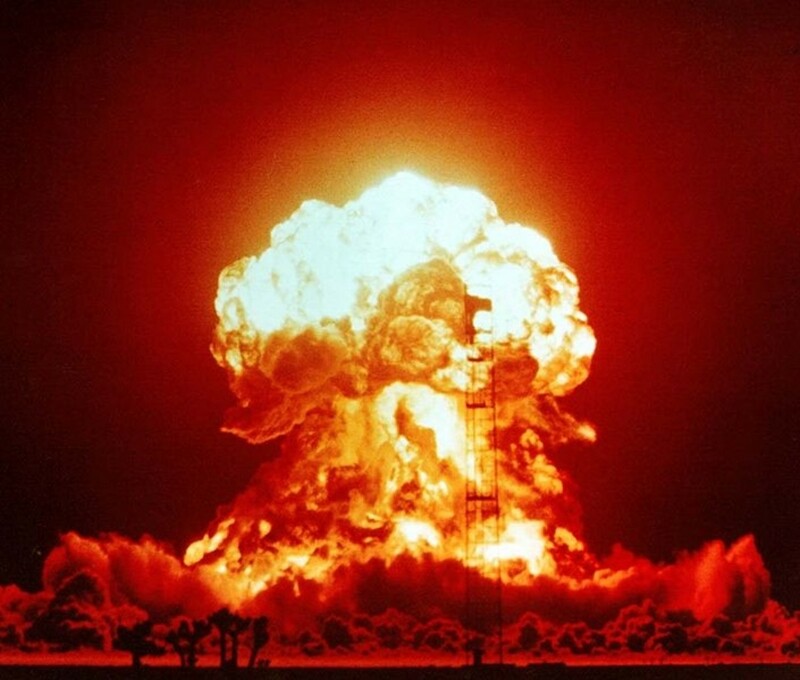 Stanislav Petrov may not be known to many people, but he may have averted a nuclear war between the Soviet Union and the United States on September 26, 1983. 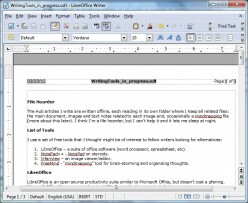 These tools are easy to install and start using, are free, and are high-quality applications: LibreOffice/OpenOffice, NotePad++, IrfanView and FreeMind. 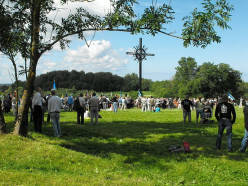 Estonia commemorates Estonians who fought under the Nazis. Her history is complicated by waves of occupation, killings and deportations inflicted by the Nazis and Communists during the last century. We lived in a condo for many years and couldn't have pets, but then we broke the rules and brought two kittens home. 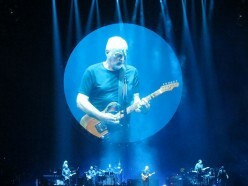 Our lives changed and we got to know our neighbor, George. The Chemical Weapons Convention prohibiting chemical weapons from being used by belligerent nations has been signed by nearly all the countries in the world. Loopholes, however, could allow signatories to use some chemical weapons that could not be used in warfare against their own citizens. I hit a deer commuting home one evening. I ended up in a ditch on the other side of the highway, but was unhurt. I had to watch the poor animal struggling and failing to get up for several minutes before it lay still. 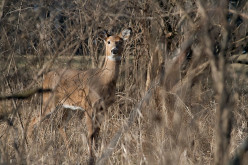 It was at the intersection of Highway 1 and Running Deer Road. 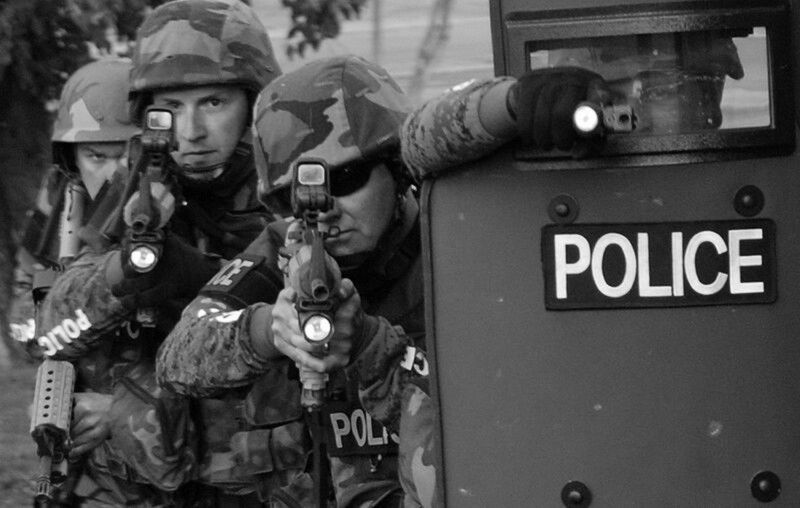 Police departments across the US are being militarized at an increasing pace. Military-grade equipment, supposedly to fight terrorism, is being used more and more for routine police activities. 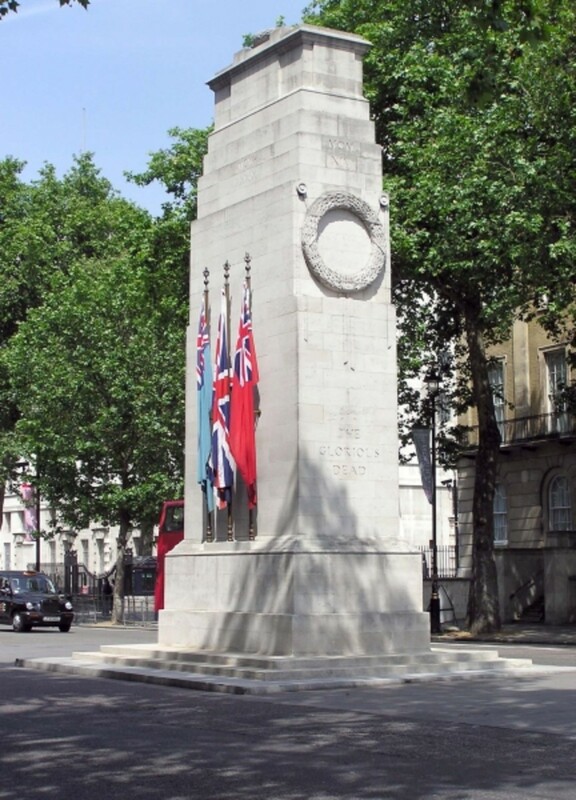 My dad served in the Home Guard in World War II Britain before joining the Royal Air Force. He manned antiaircraft rockets when the German bombers raided Birmingham and later guarded German POWs. 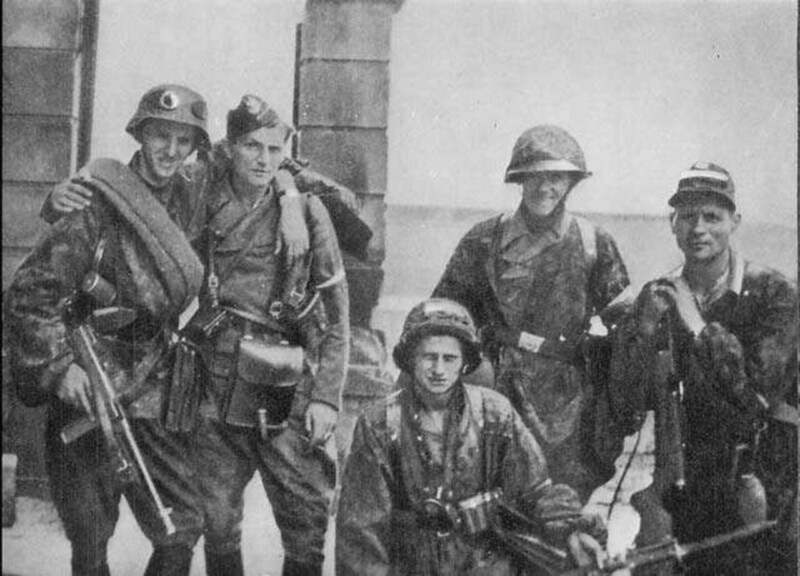 When Germany invaded Poland, only 23 German divisions were allocated to defend against 110 British and French divisions in the west. For eight months, the Allies waited for the Germans to attack. One-Tenth a Cent Less Per Gallon of Gas-- Or Nine-Tenths More? 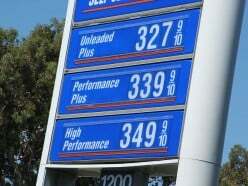 Why is the price of a gallon of gasoline priced to tenths of cents? Why is this deceptive pricing? Is anyone doing anything about it? Don't you have anything better to worry about? Do prices ending in "9" turn you on? The Vaadin web application framework allows you to create Rich Internet Applications. Client-side components are automatically generated for the top five browsers. There is a small village in Turkmenistan's Karakum Desert called Derweze (AKA Darvaza). 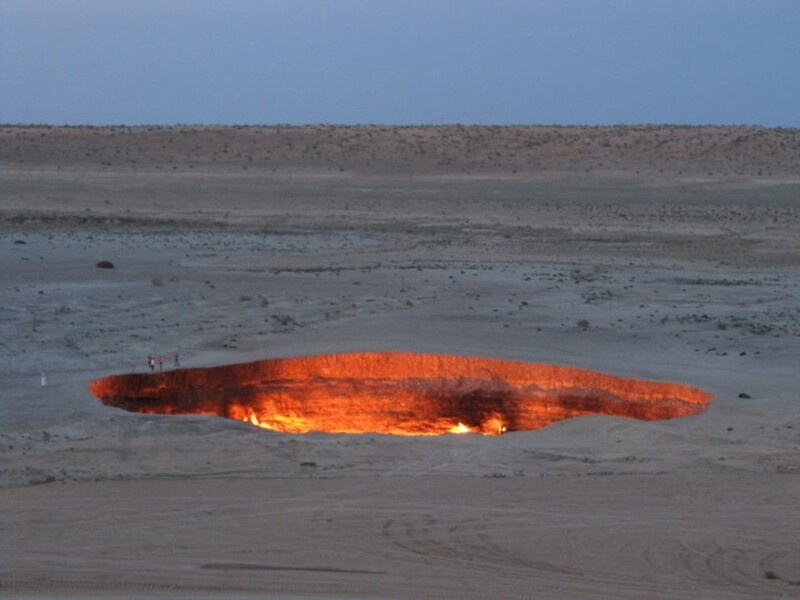 Four miles away is a burning crater called the Gates of Hell. 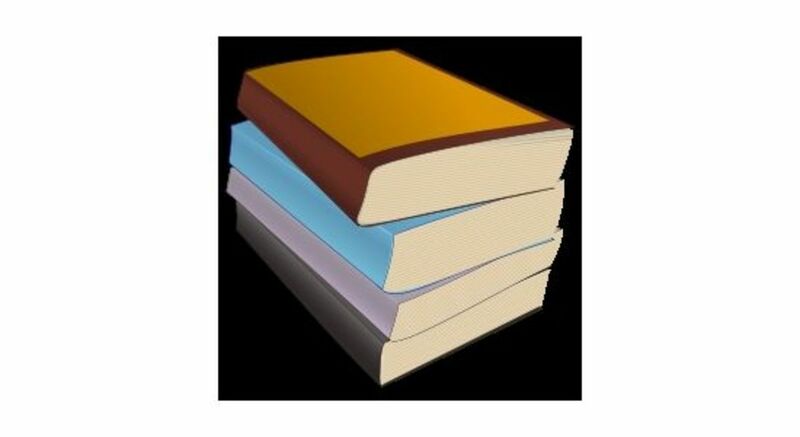 This is my personal selection of fiction and non-fiction books arranged in a top ten list of great reads. The list includes works by Isaac Asimov, George Orwell, Clive Barker and others. 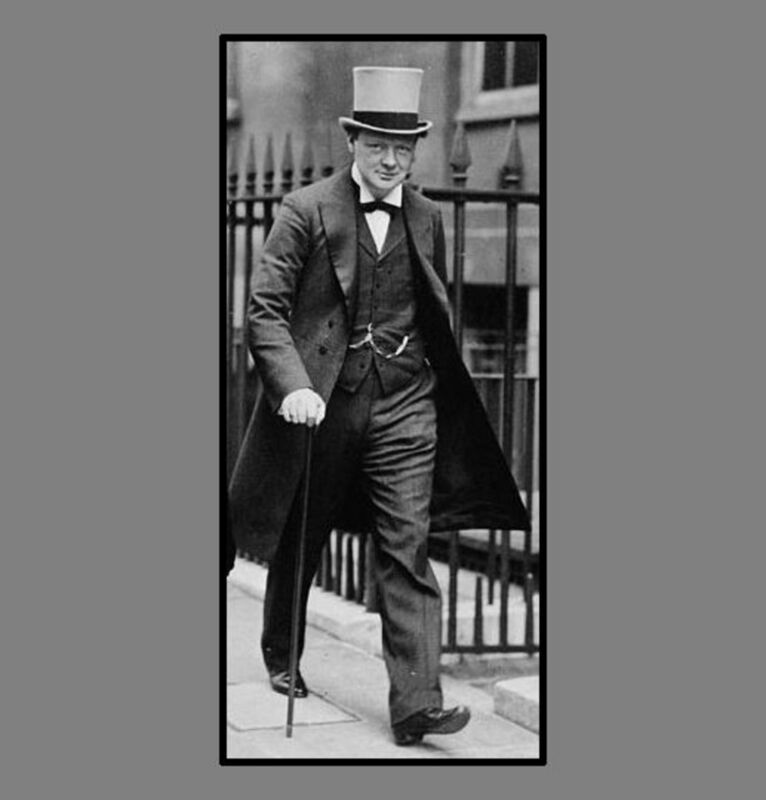 Winston Churchill, future Prime Minister of Great Britain, spent six months in the trenches during World War I following the disaster at Gallipoli and his resignation as First Lord of the Admiralty. 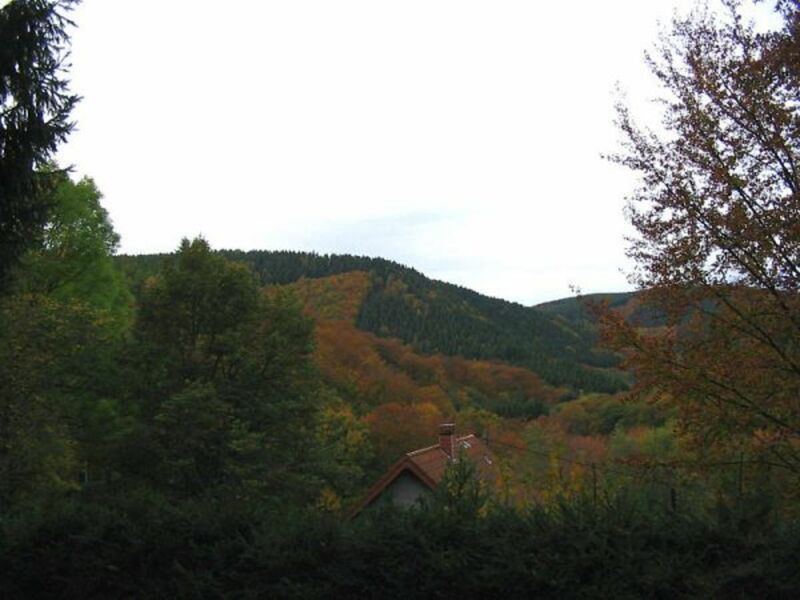 Germany’s Harz Mountains have long struggled economically. Their abandoned mines may provide an economical way of storing excess renewable energy-- the holy grail of green energy. 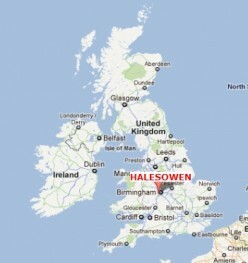 This is about my encounters with the British police when I was younger and in a more more care-free time in Halesowen, England. 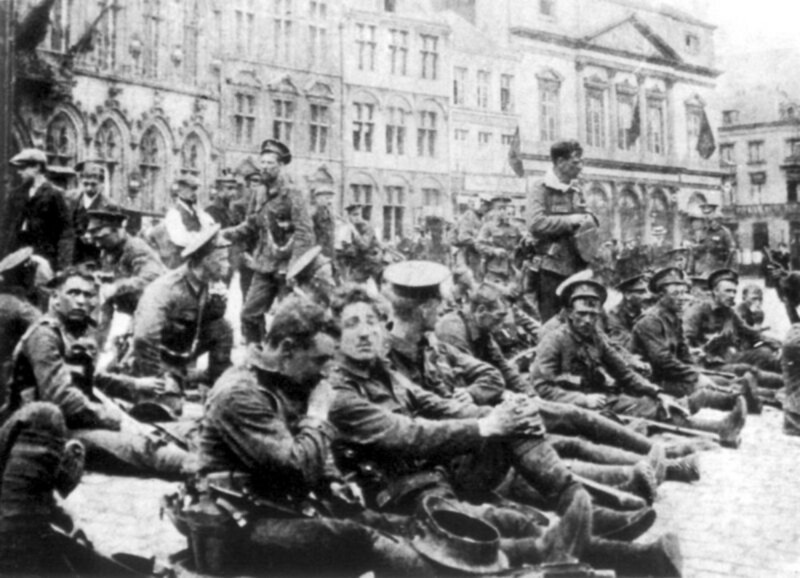 The British Expeditionary Force's first battle of of the First World War was at Mons, Belgium, where 75,000 British soldiers stood in the way of 160,000 advancing Germans. Describes my search for and initial experience with a smartphone plan form Virgin Mobile that isn't outrageously expensive and doesn't lock me into a contract. Commemoration rallies in Estonia described as Pro-Nazi gatherings are receiving tacit approval of the government. Russia demands action from international bodies.